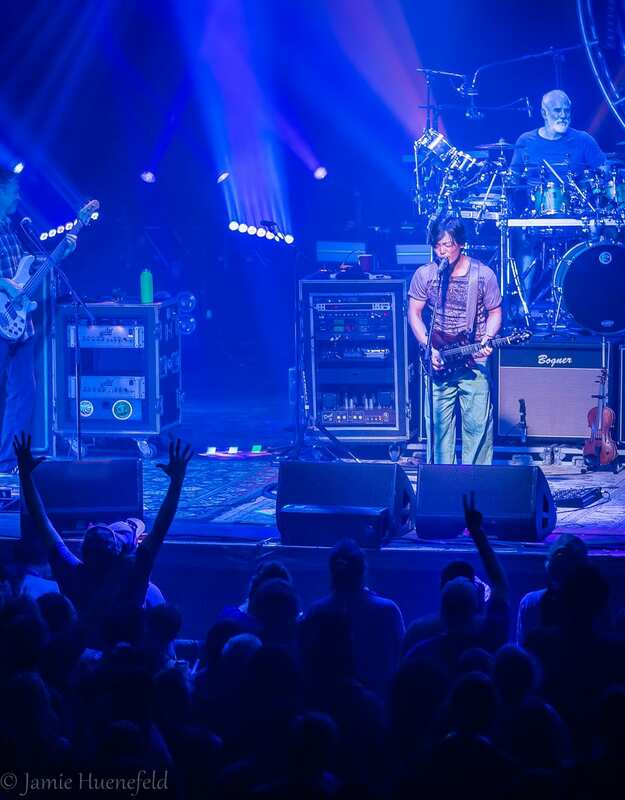 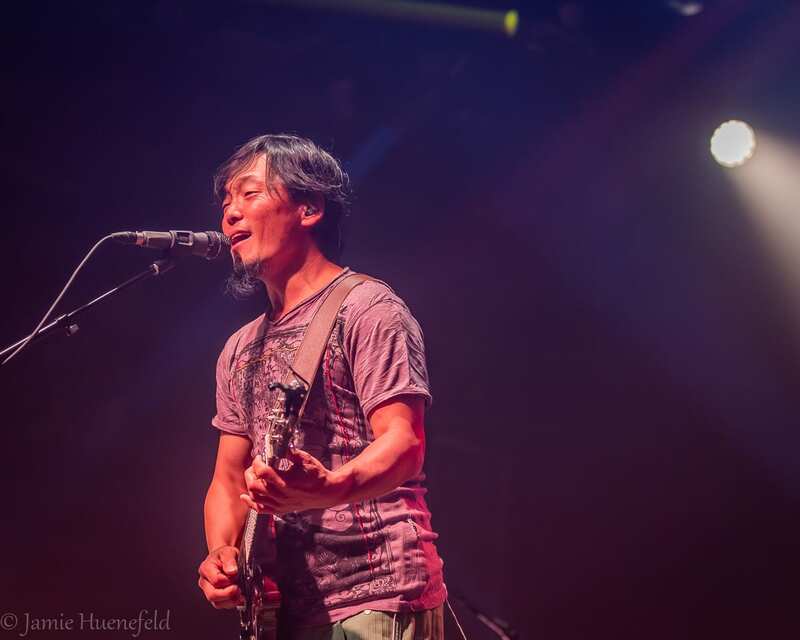 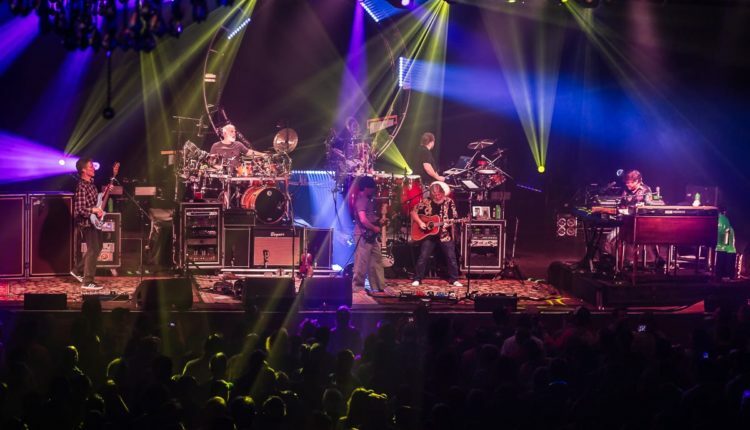 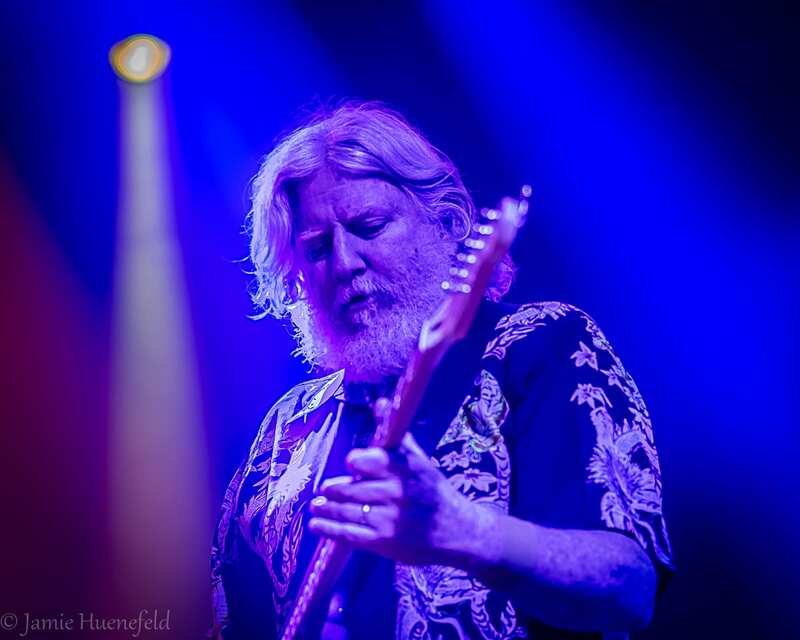 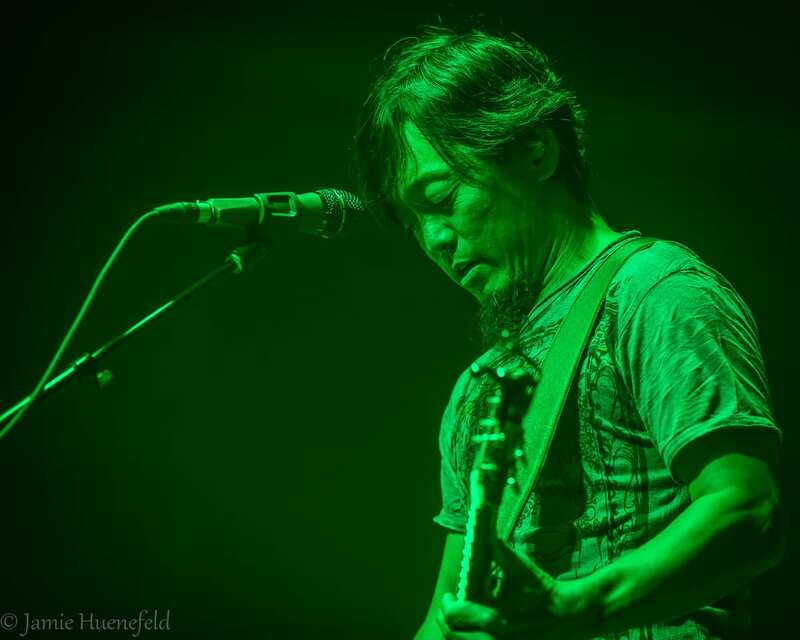 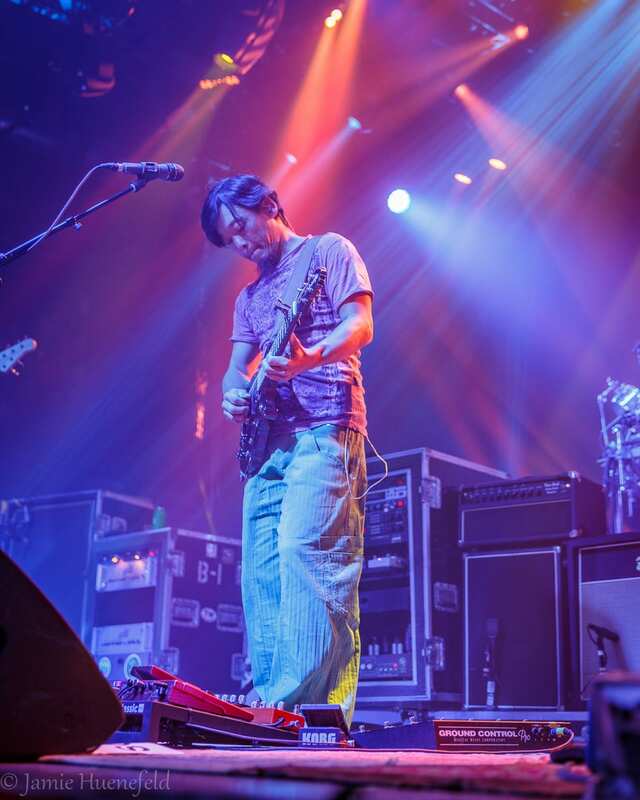 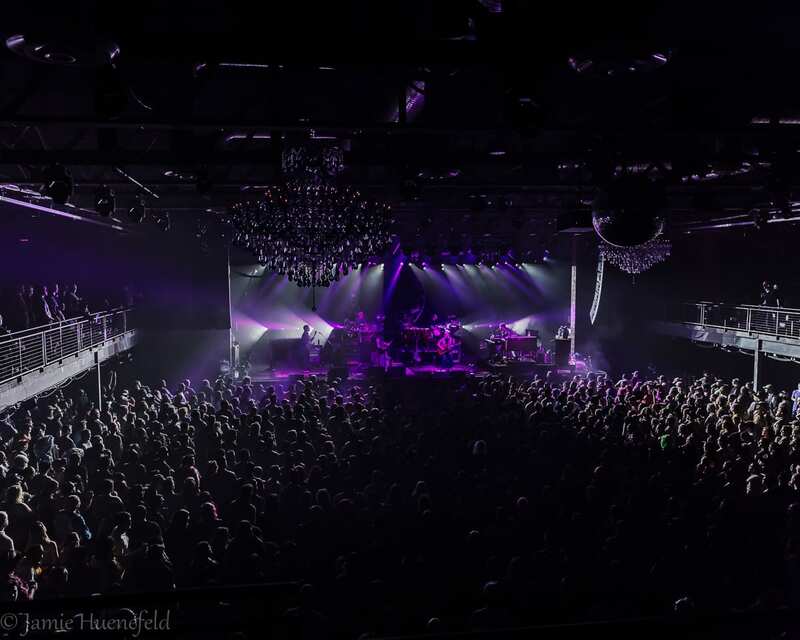 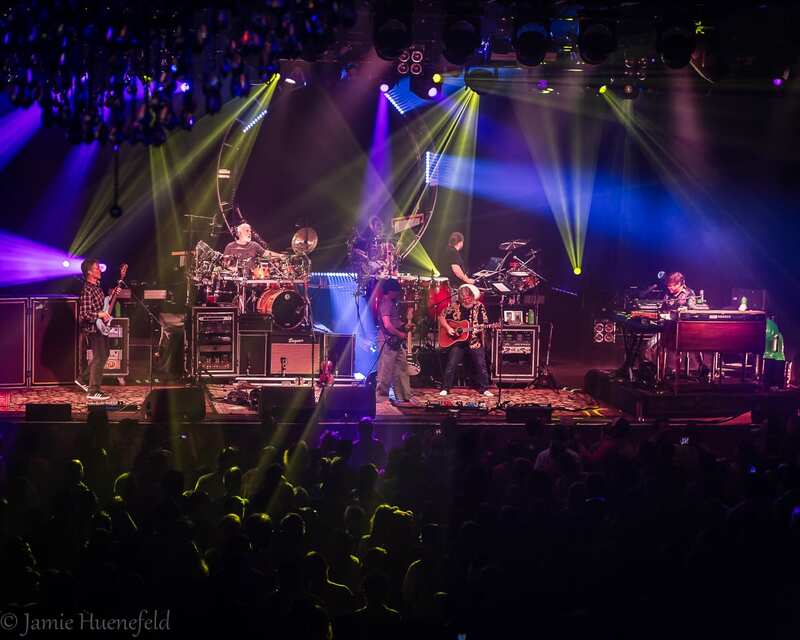 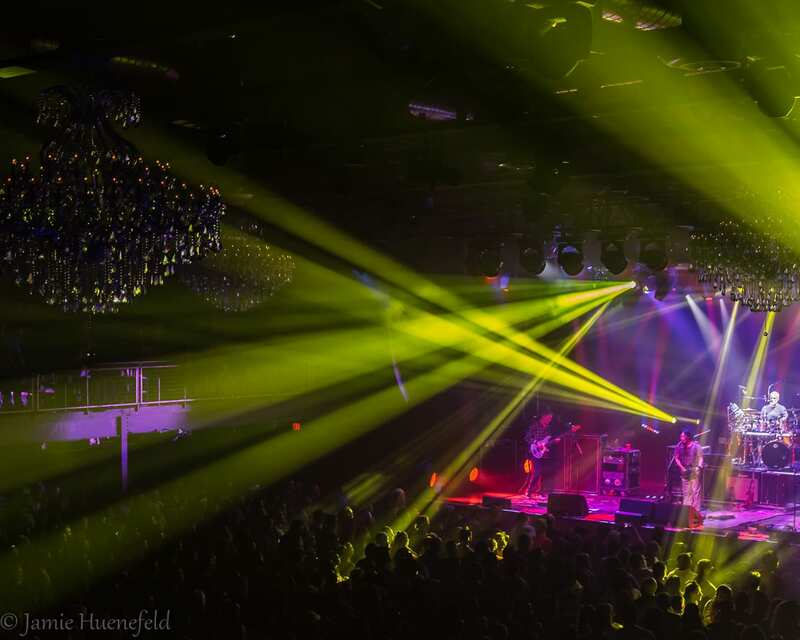 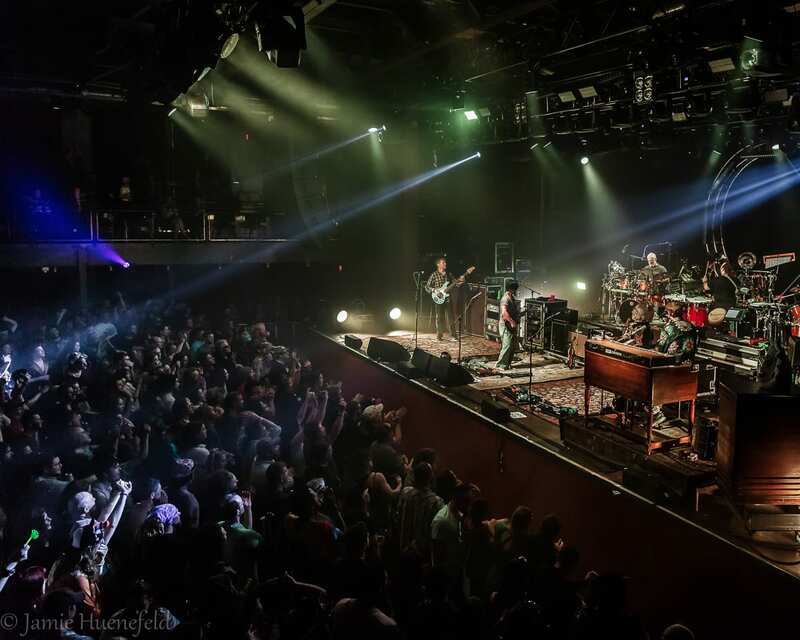 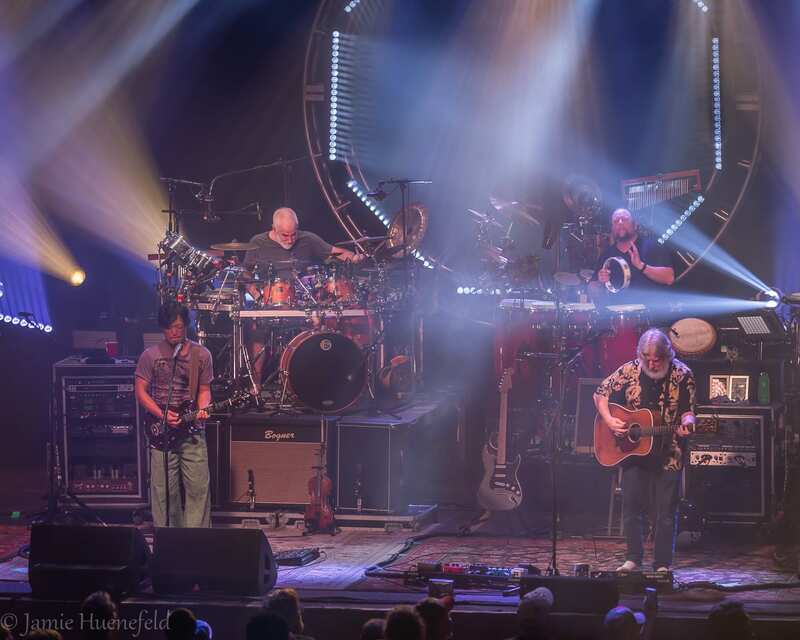 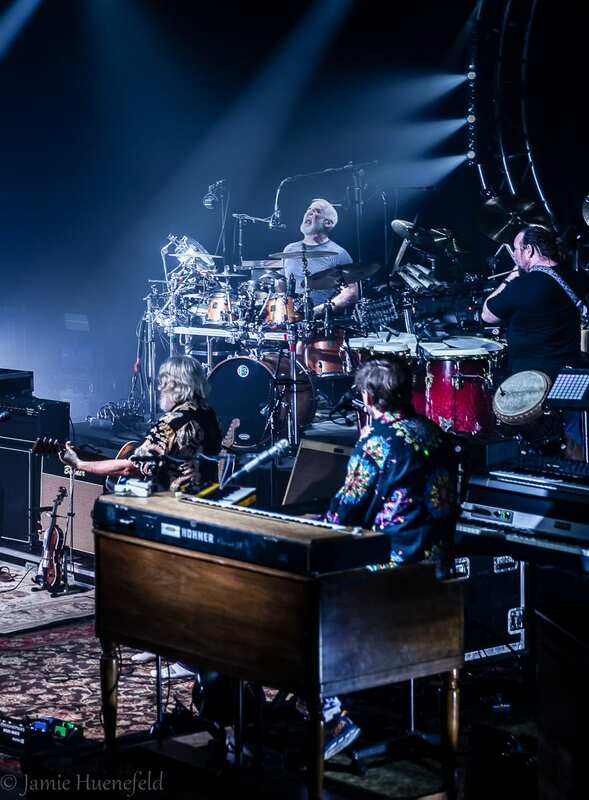 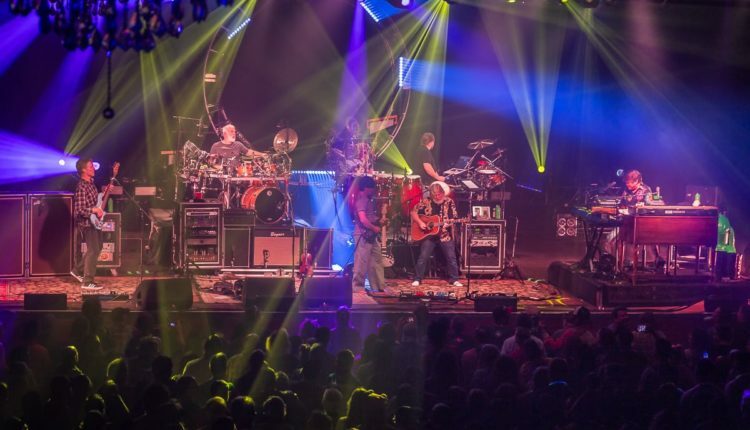 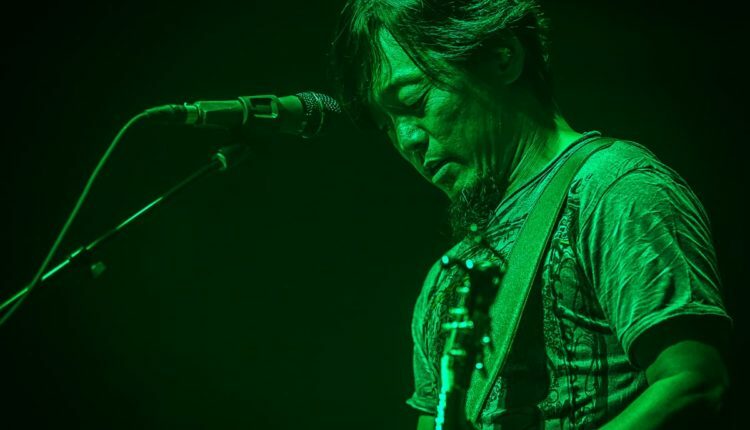 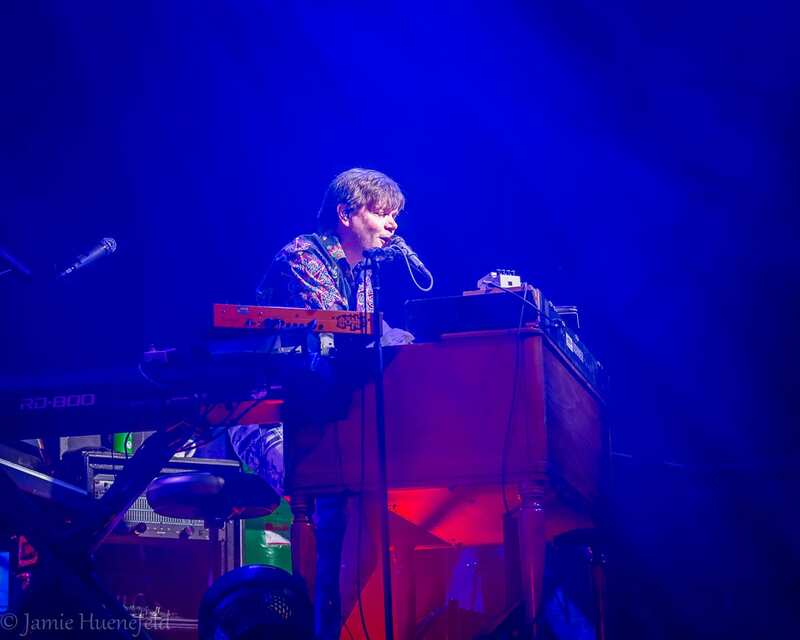 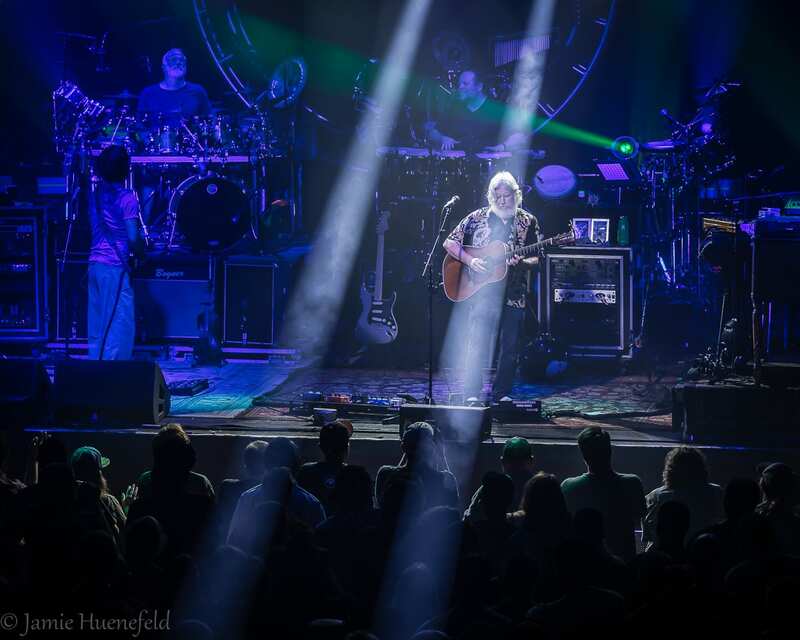 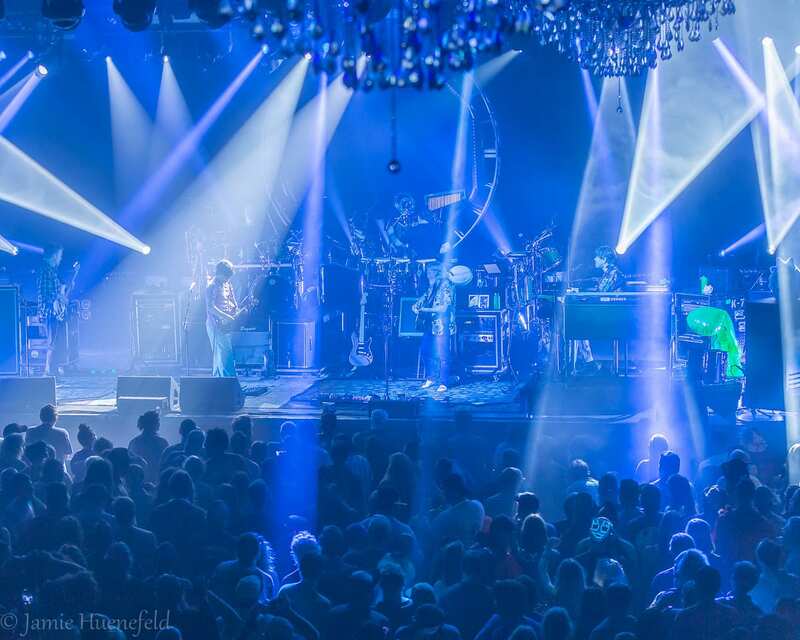 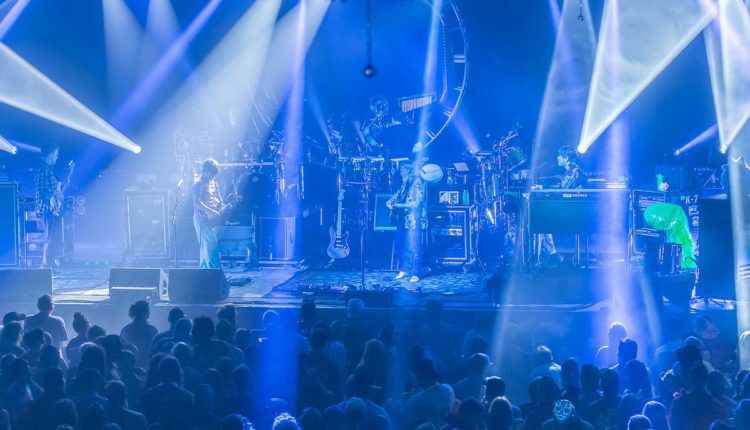 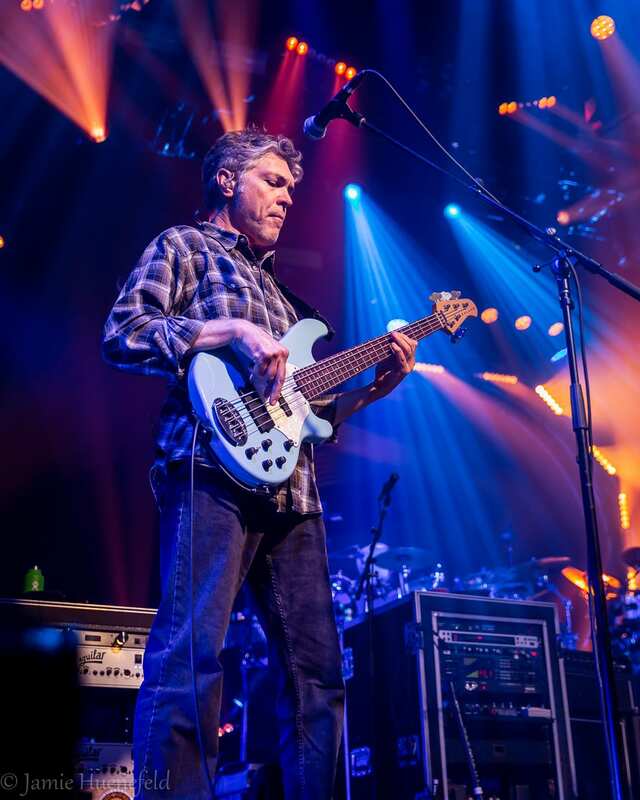 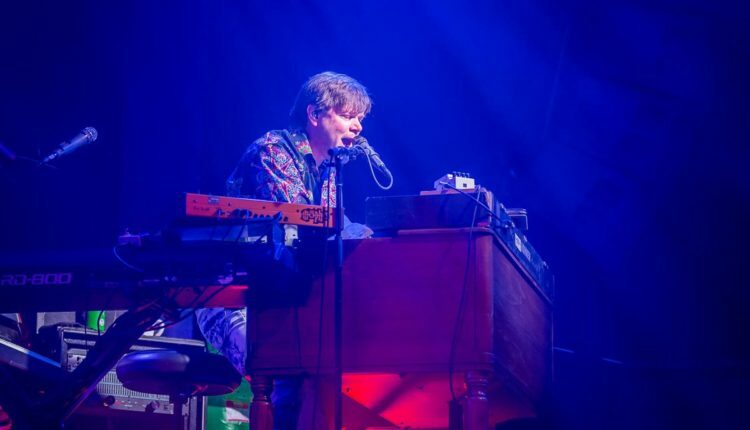 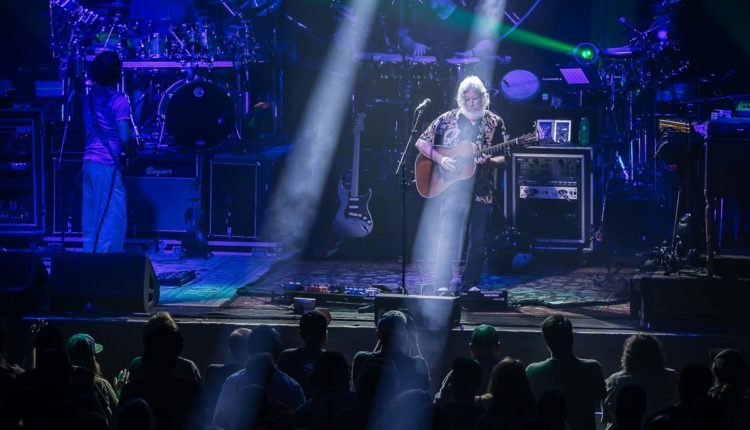 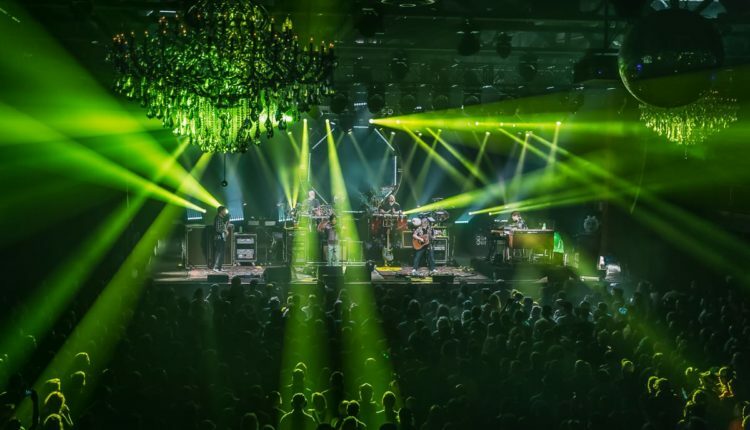 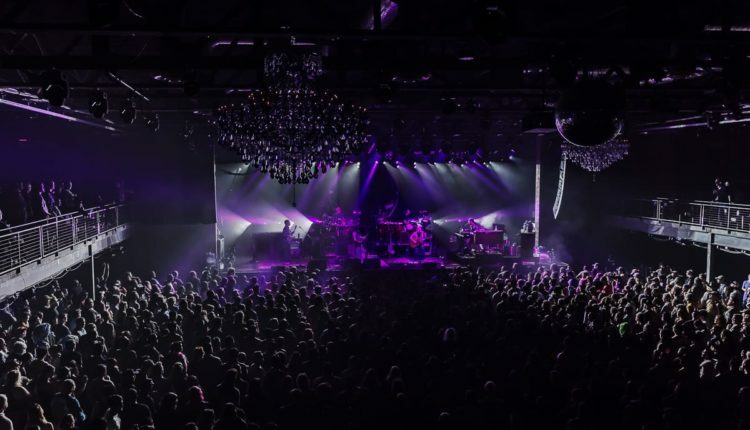 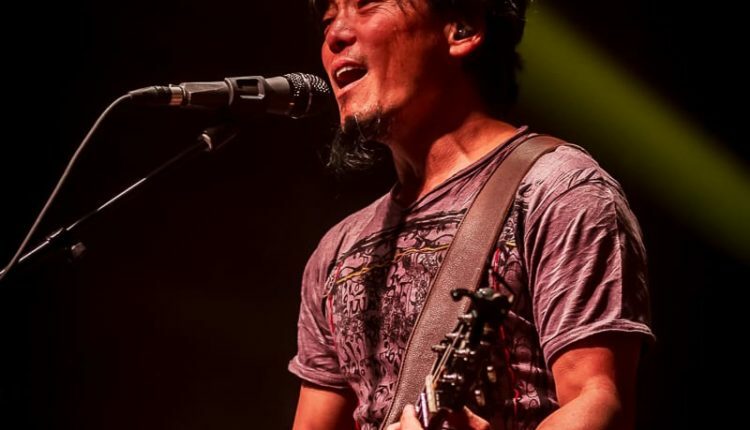 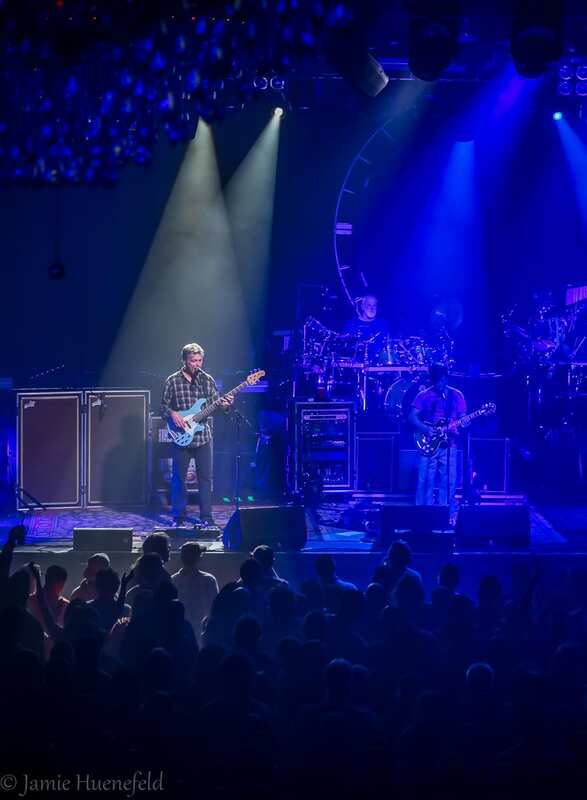 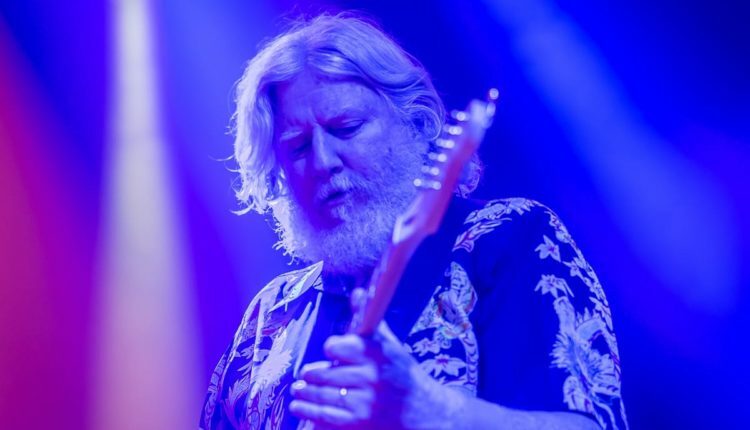 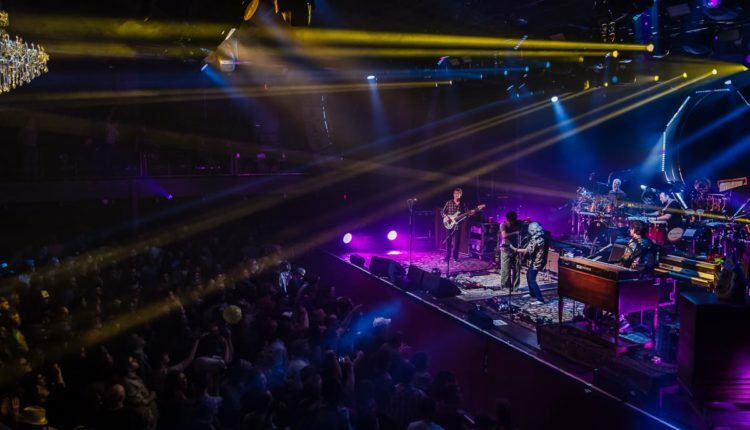 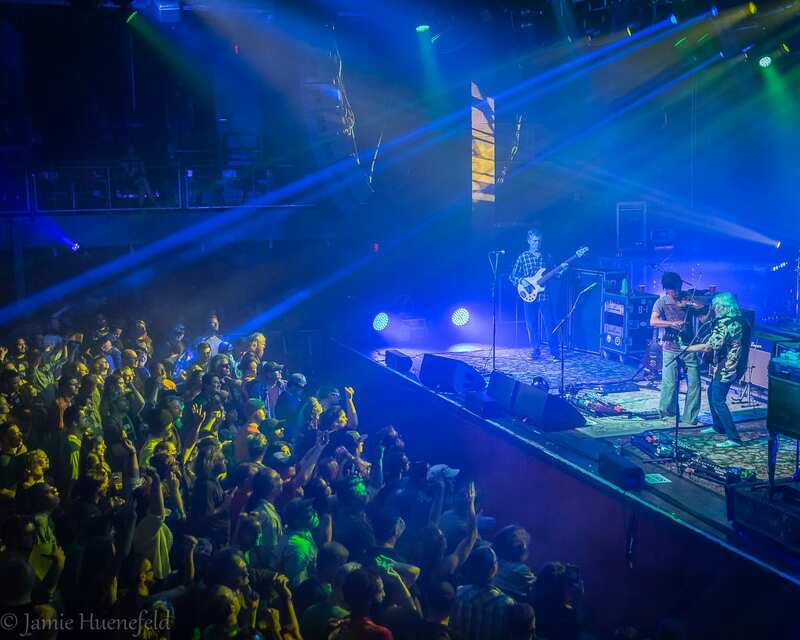 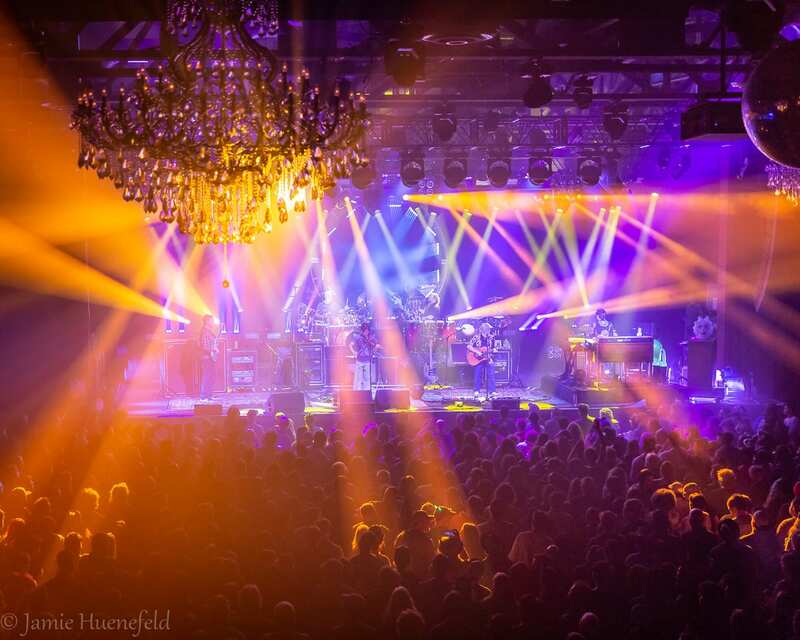 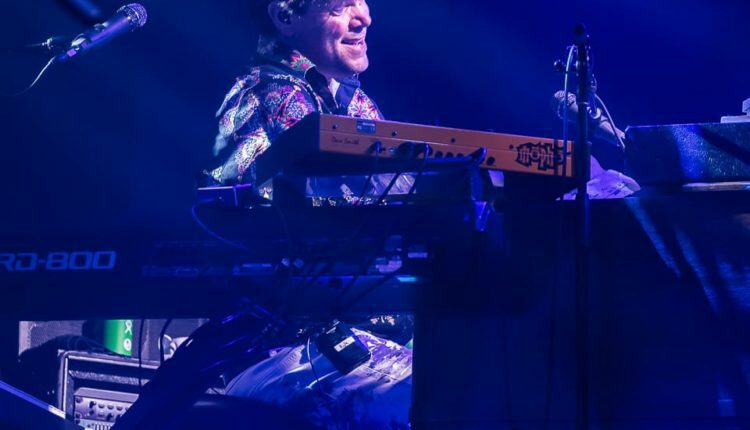 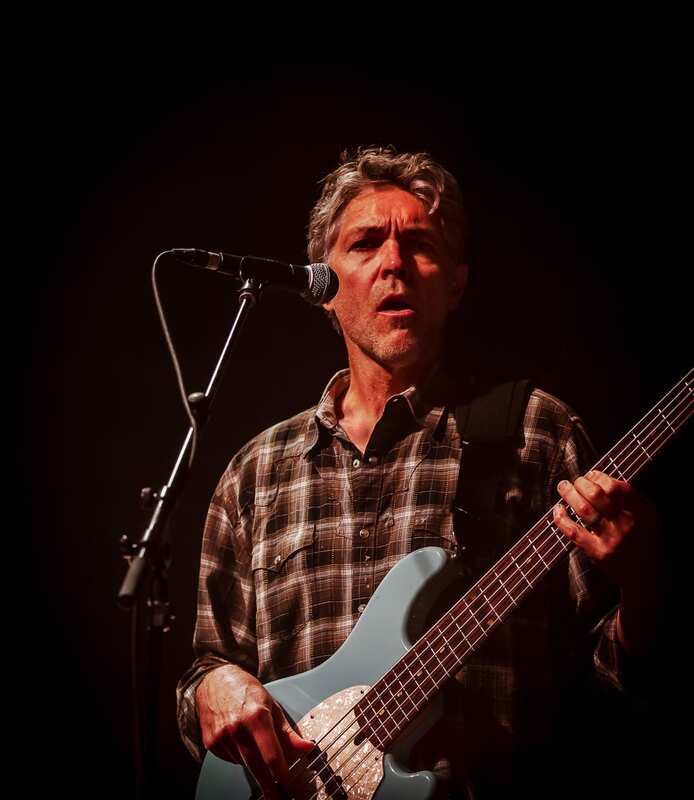 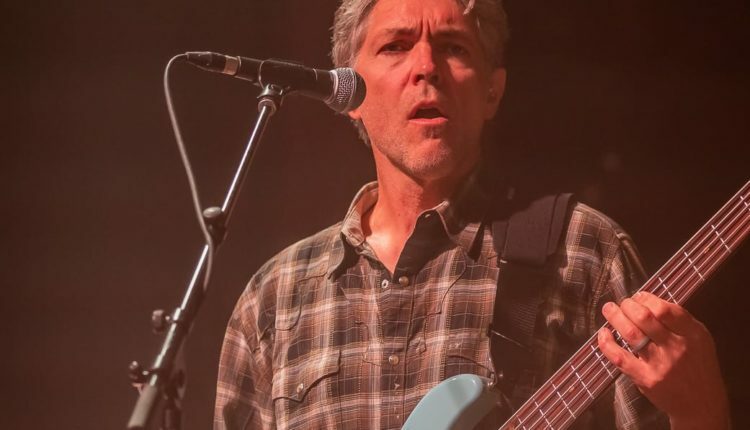 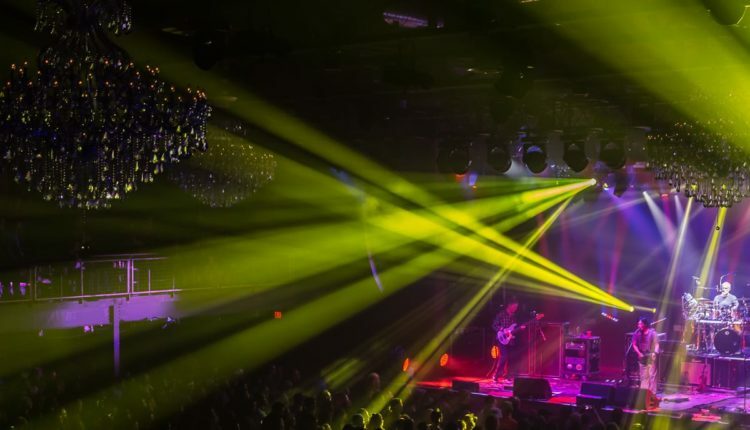 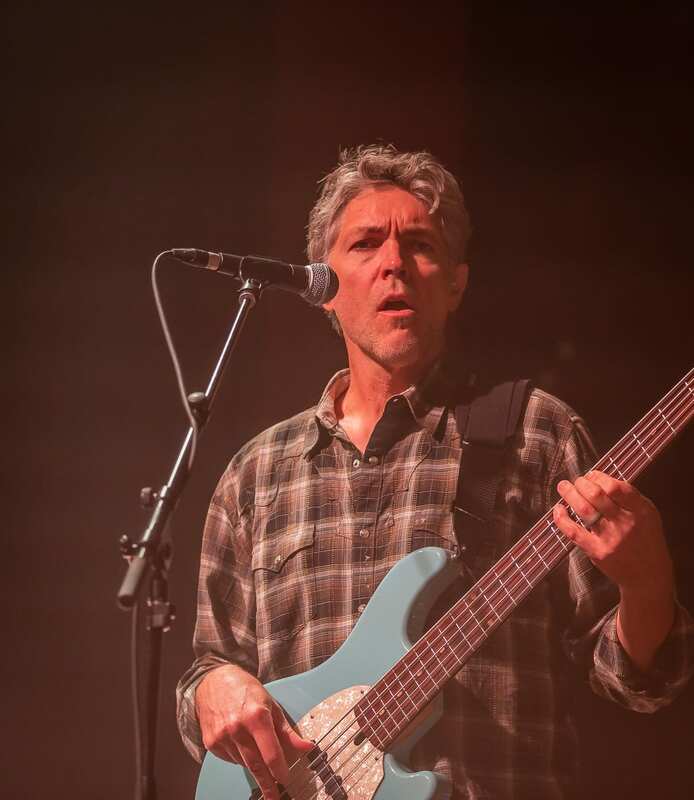 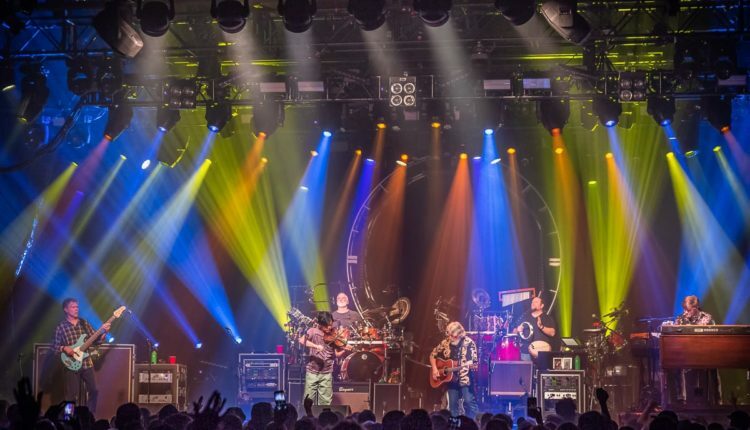 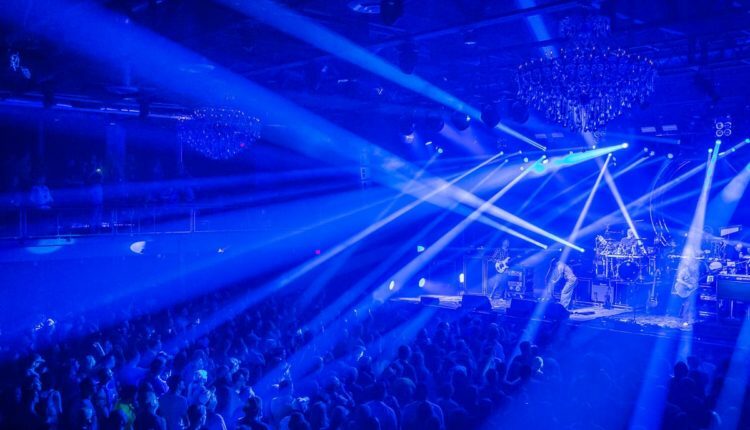 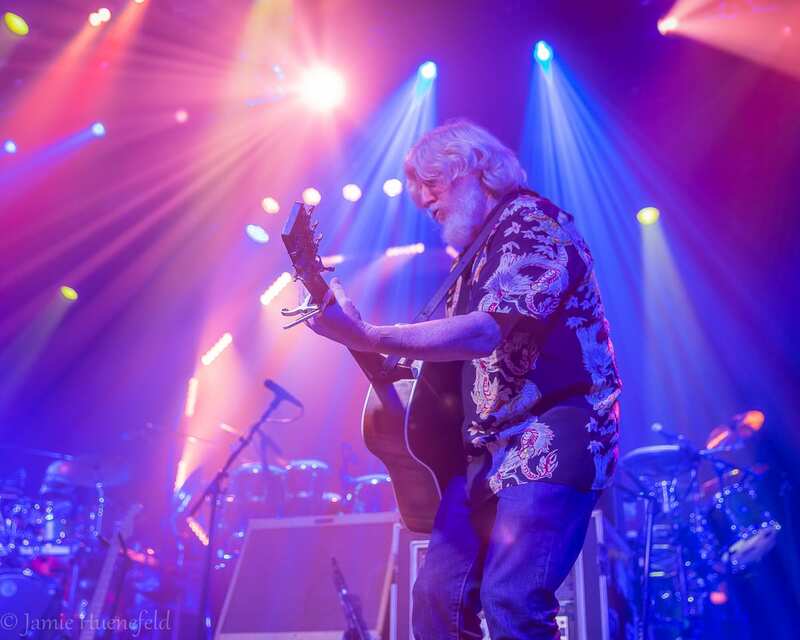 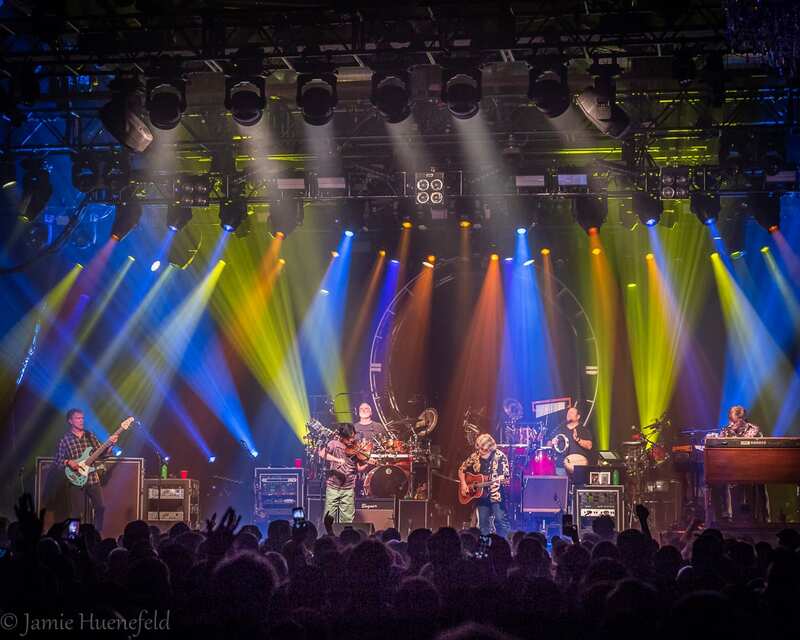 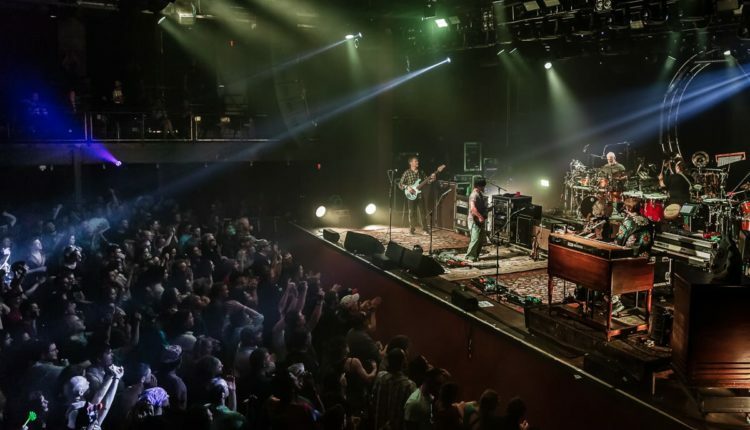 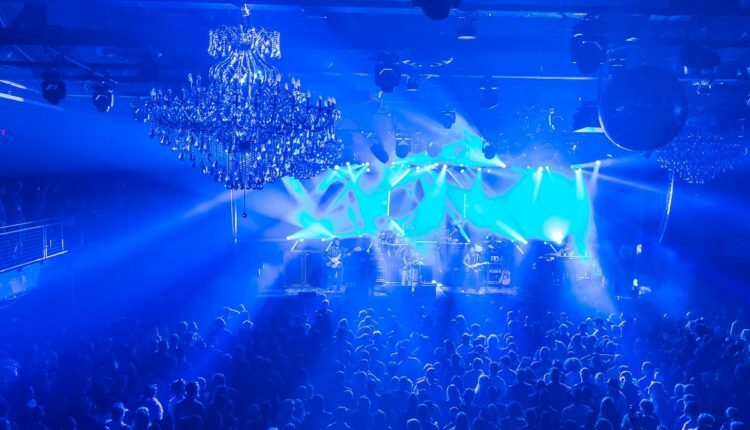 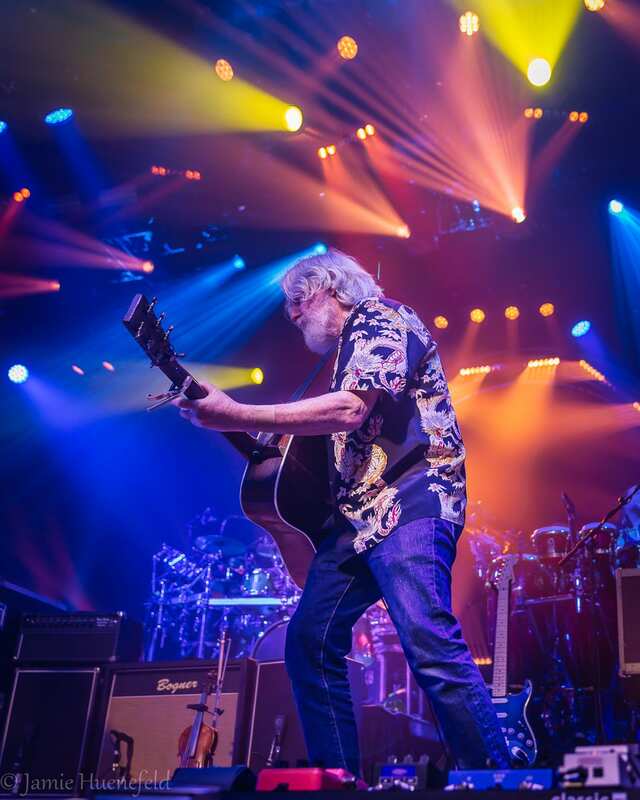 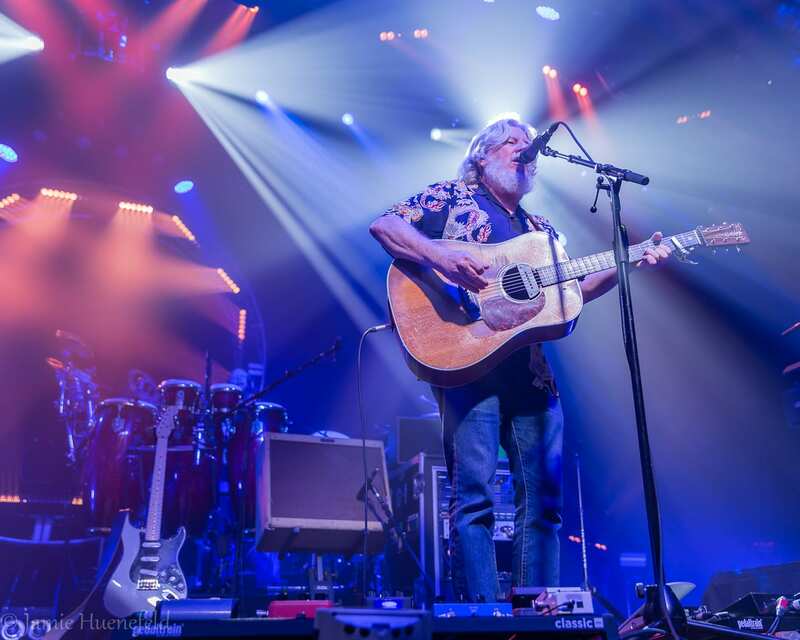 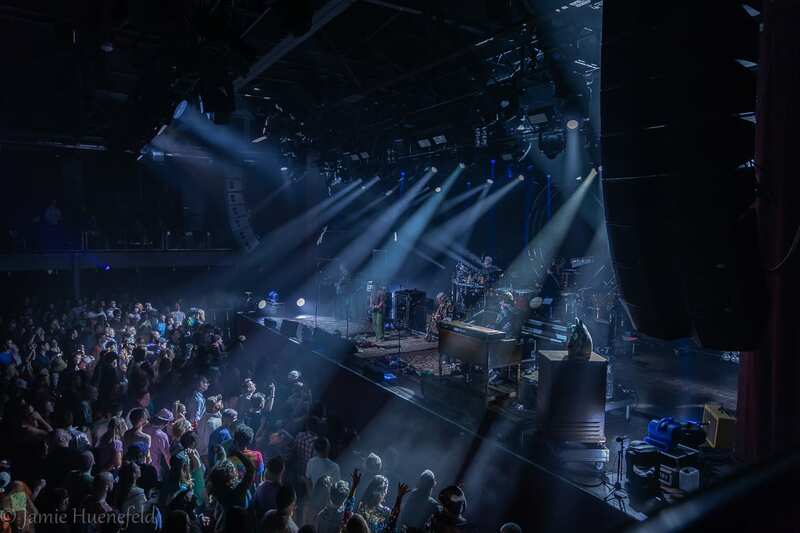 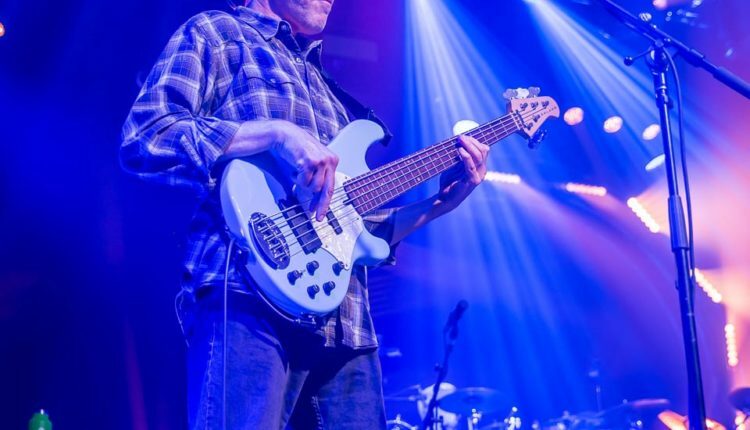 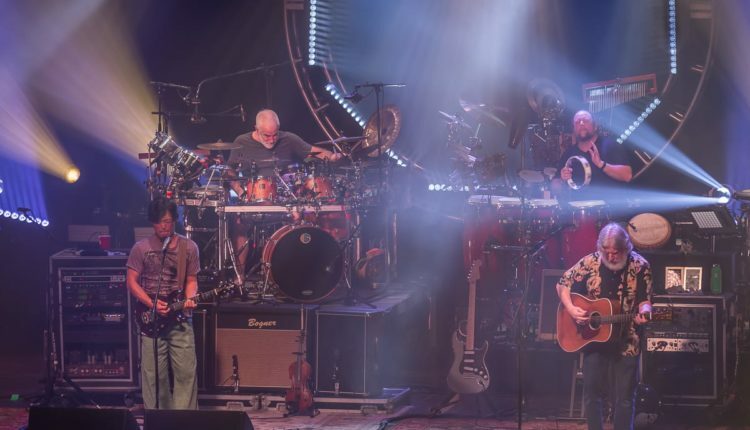 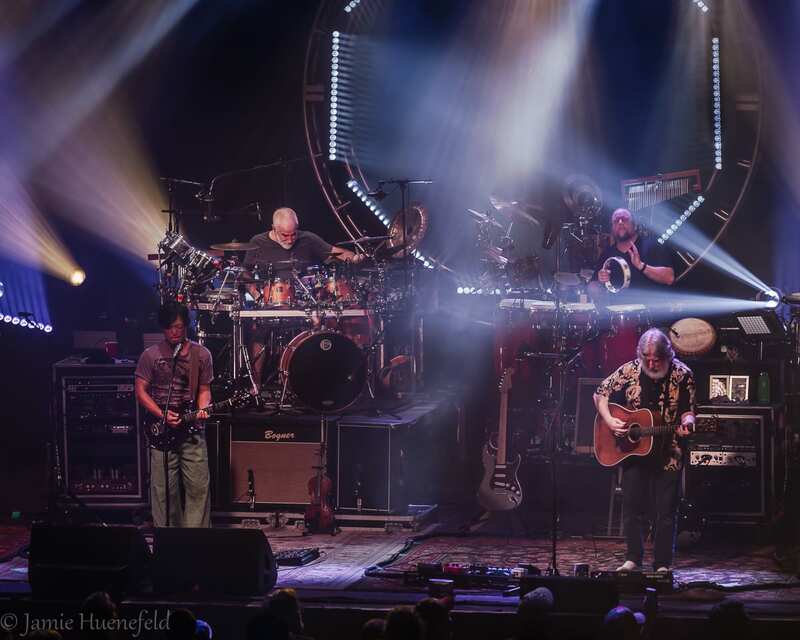 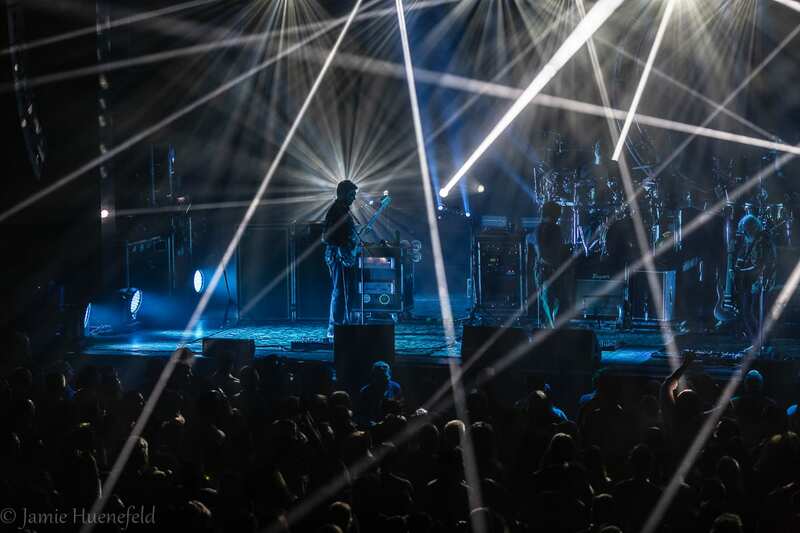 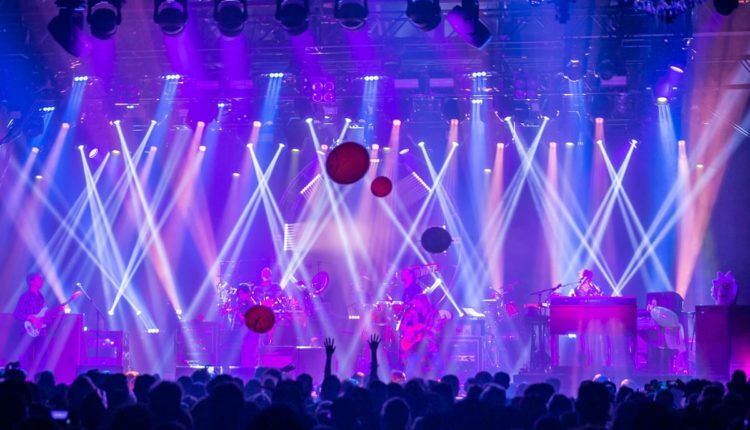 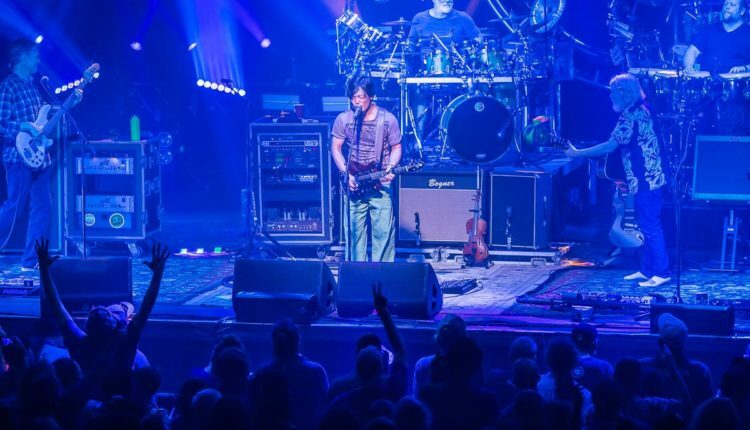 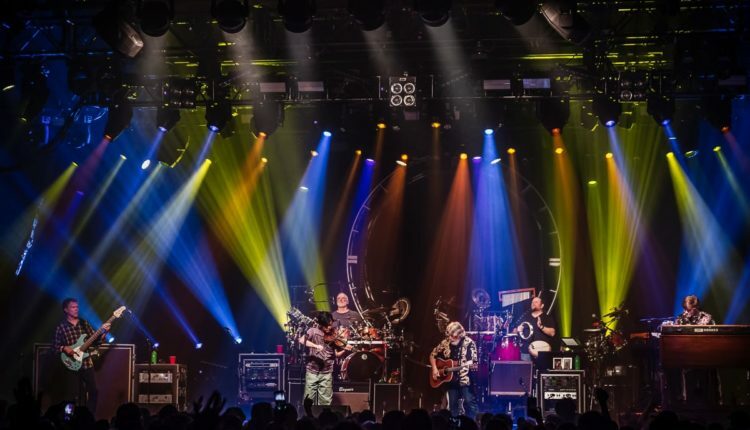 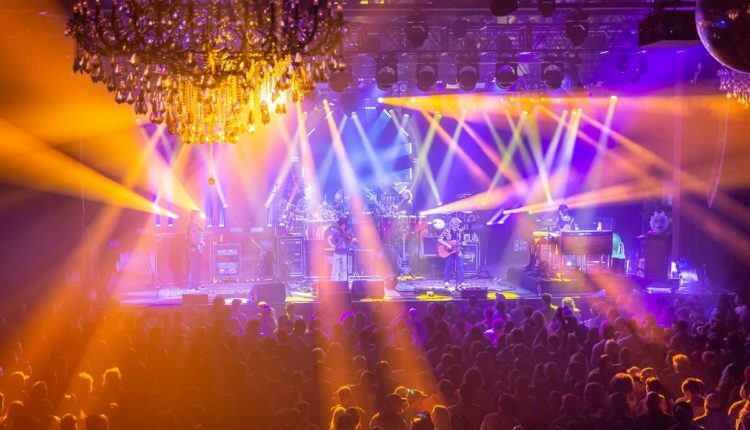 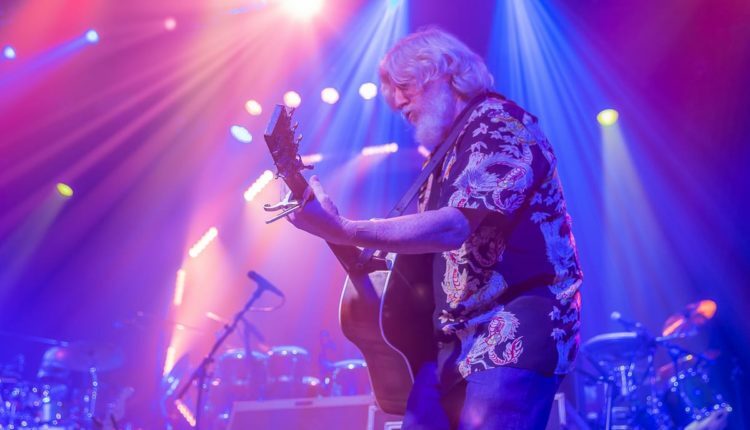 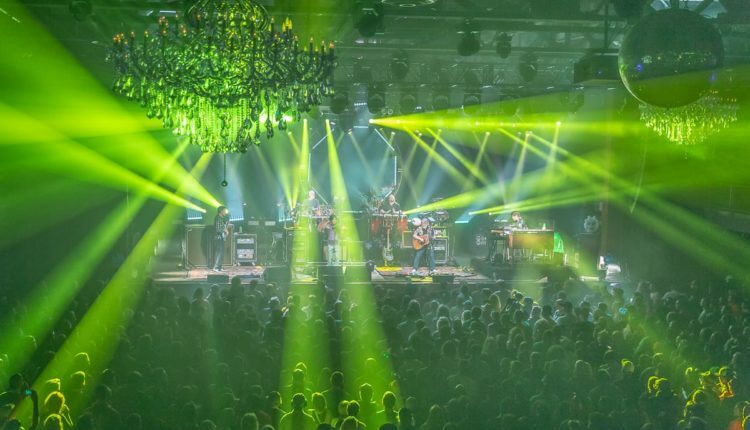 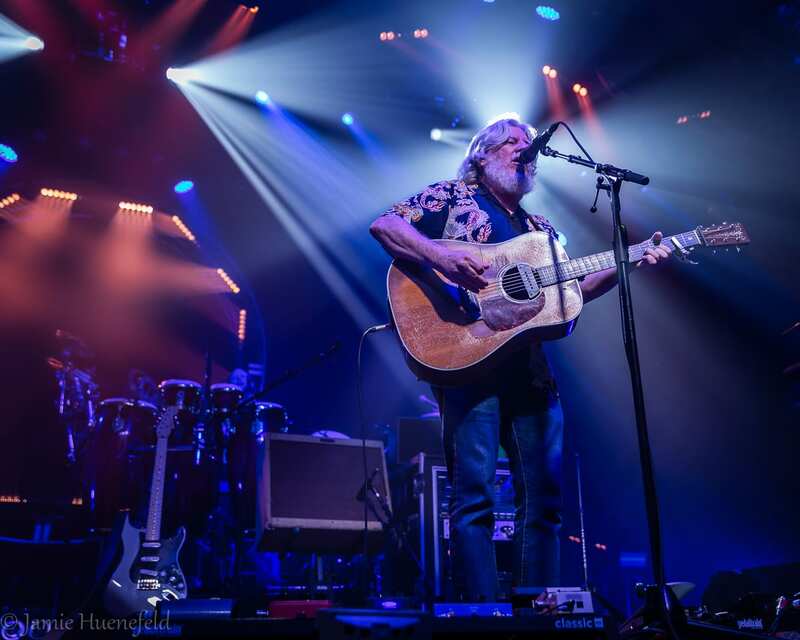 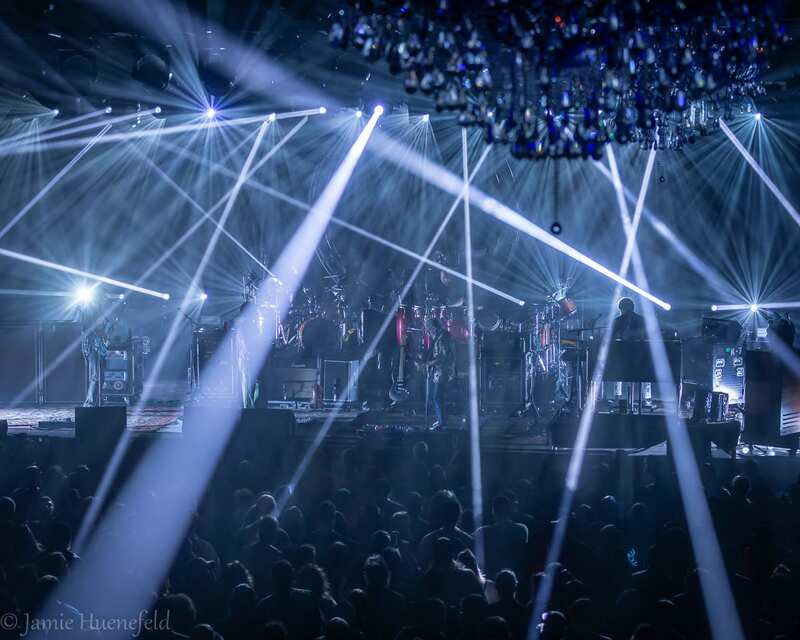 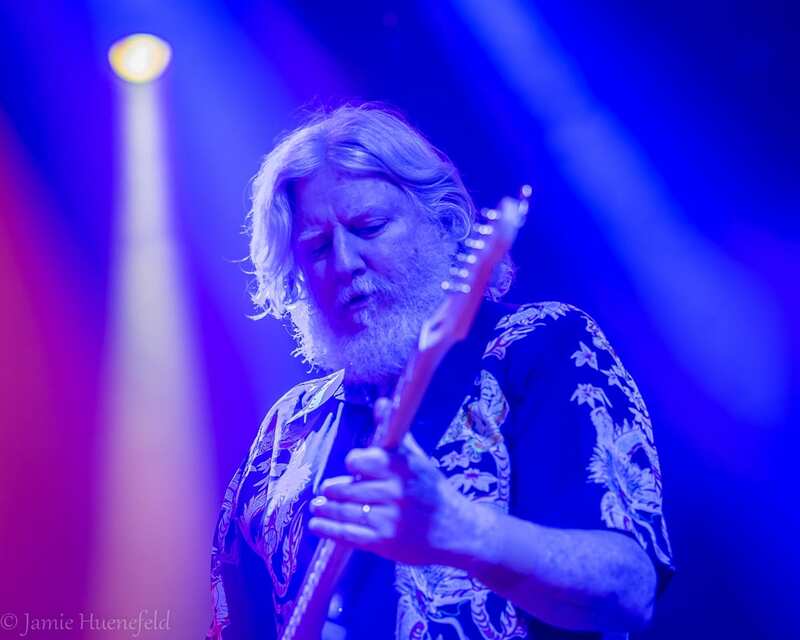 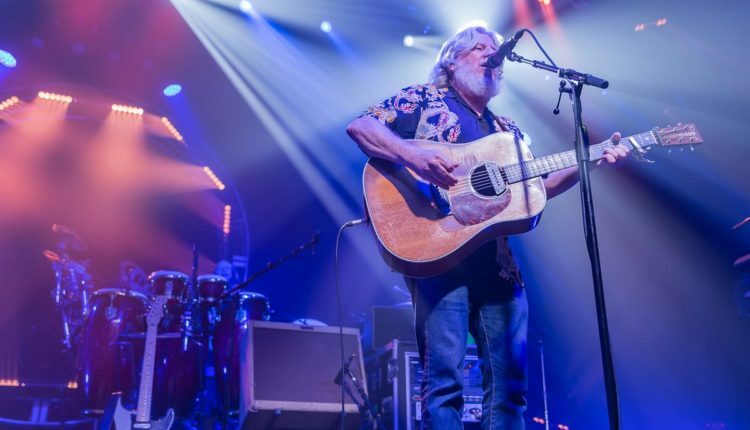 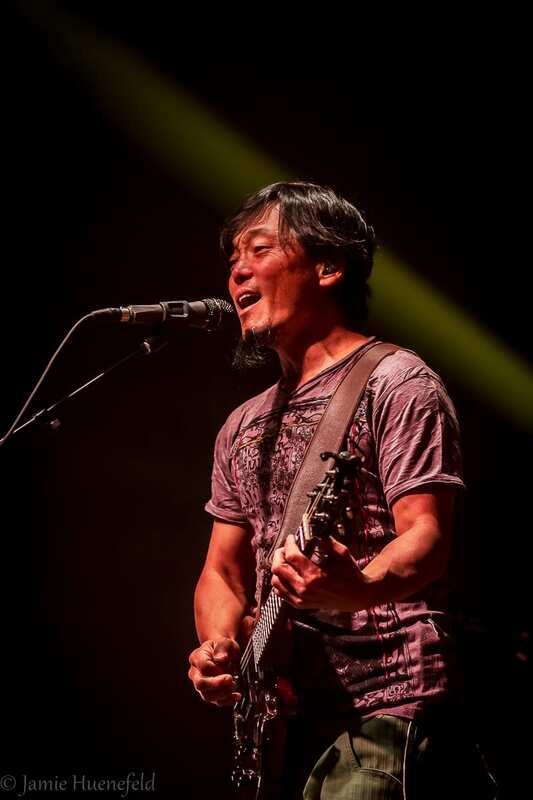 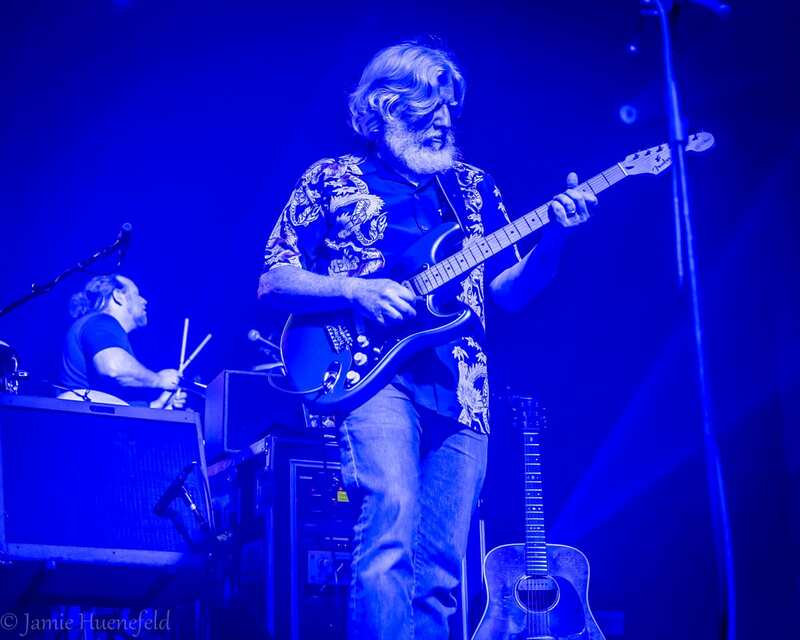 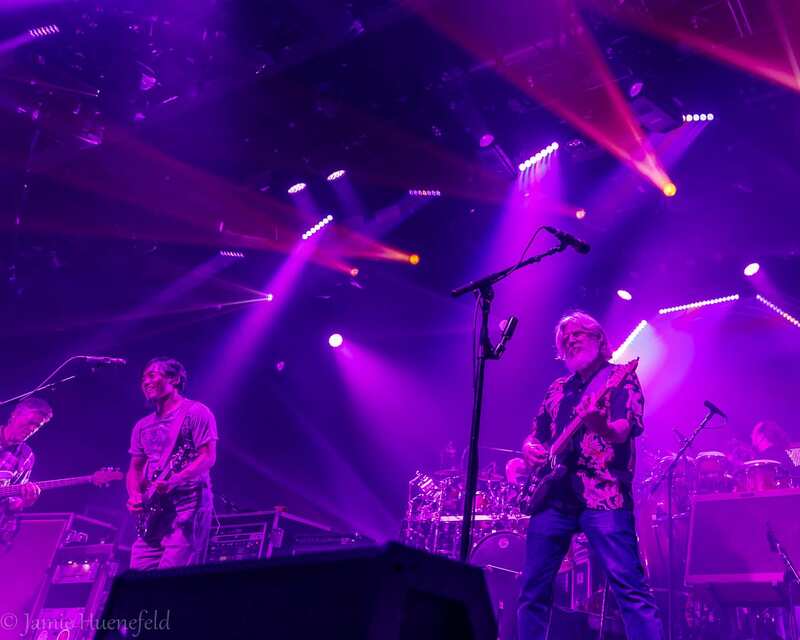 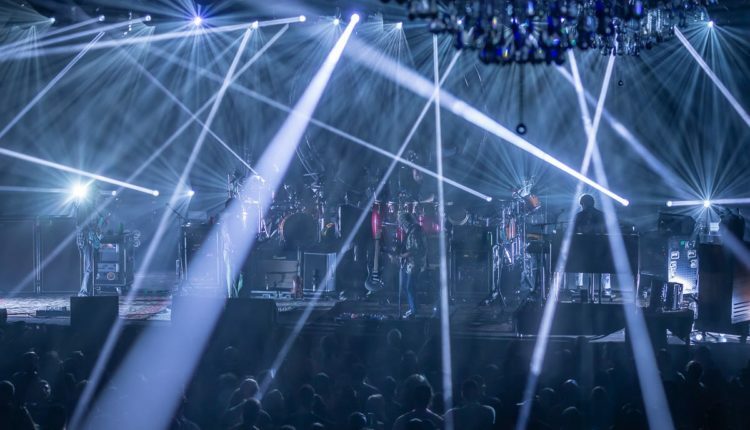 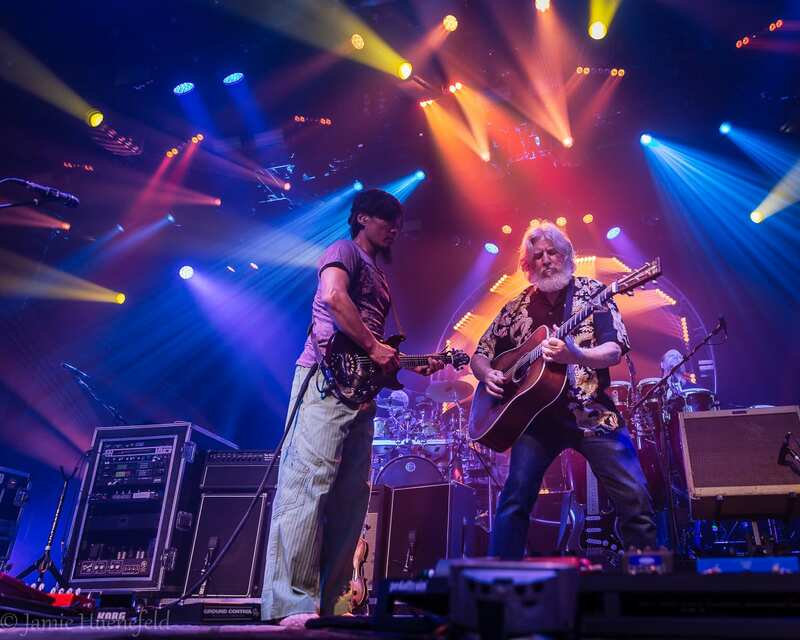 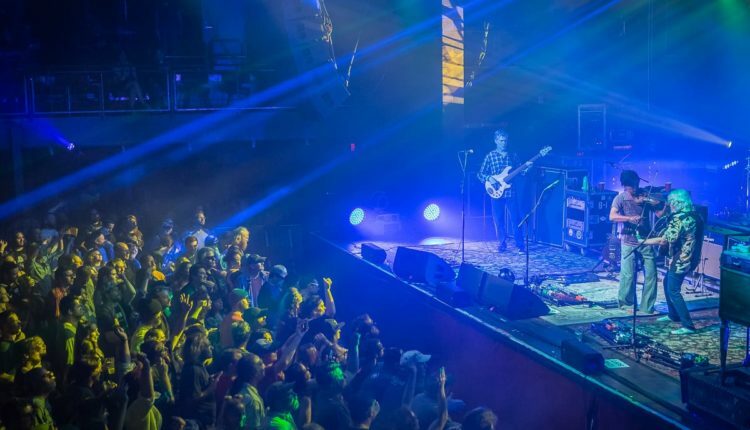 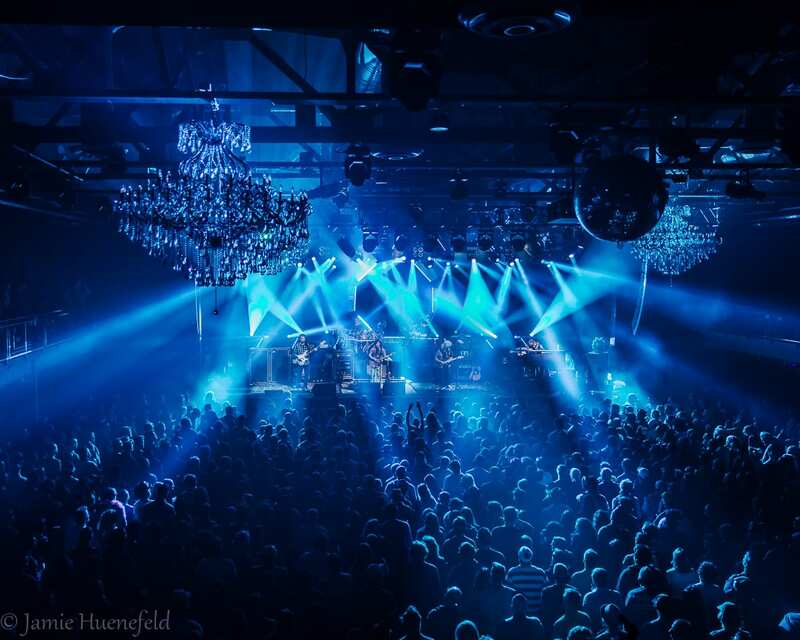 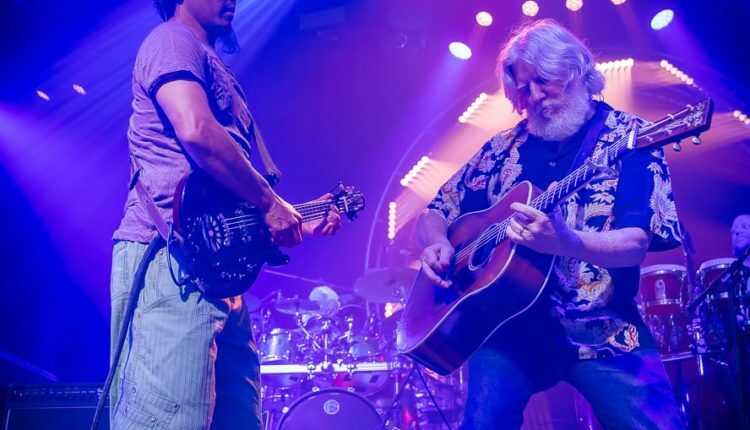 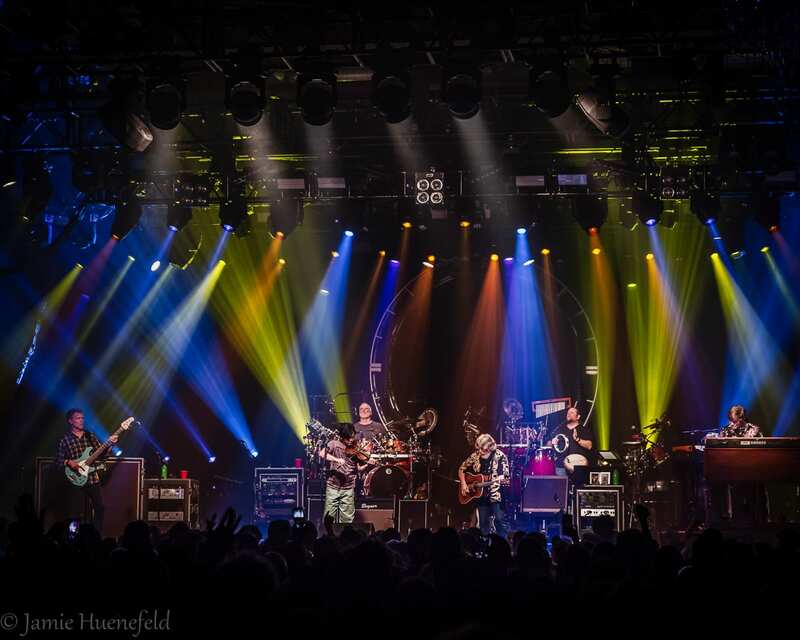 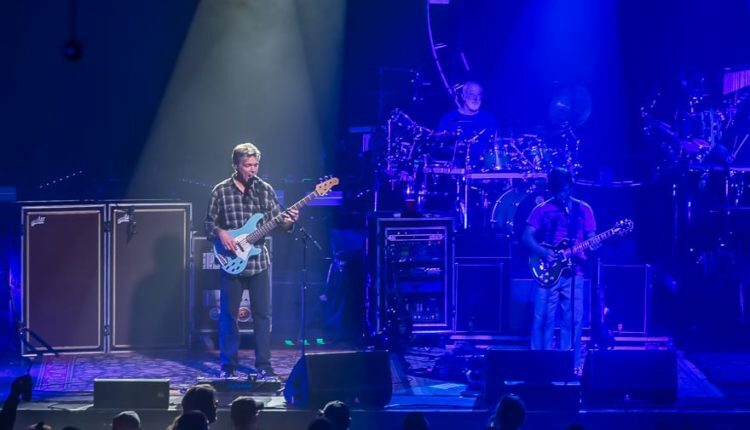 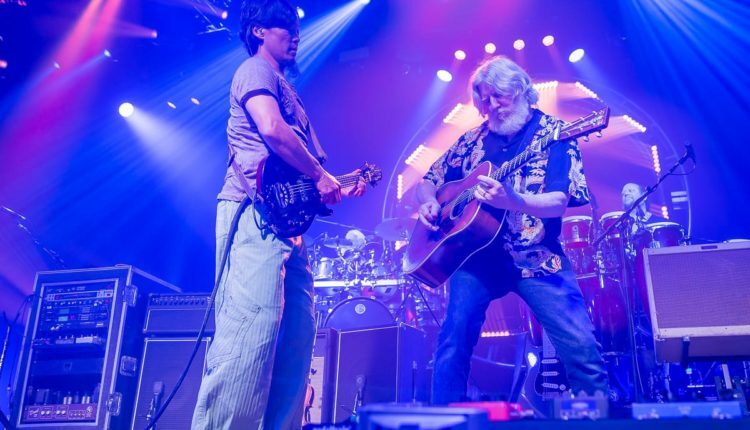 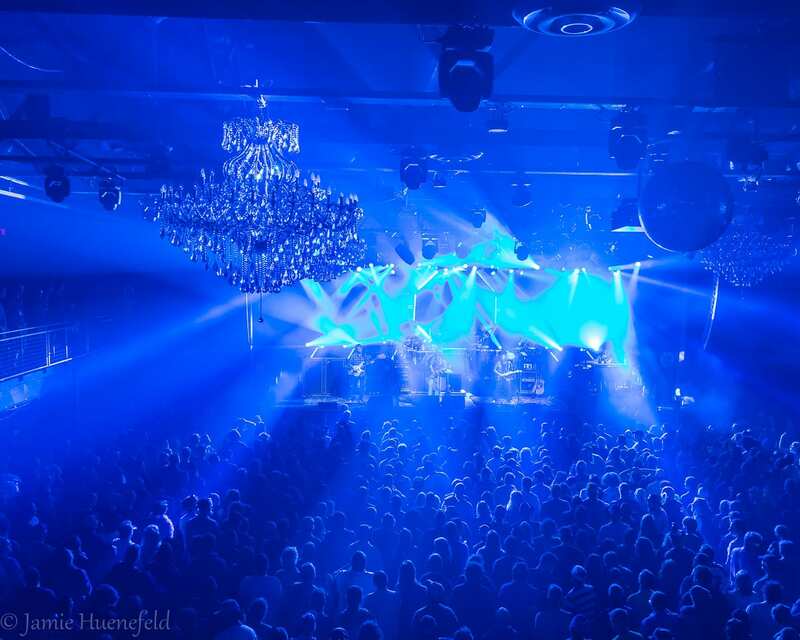 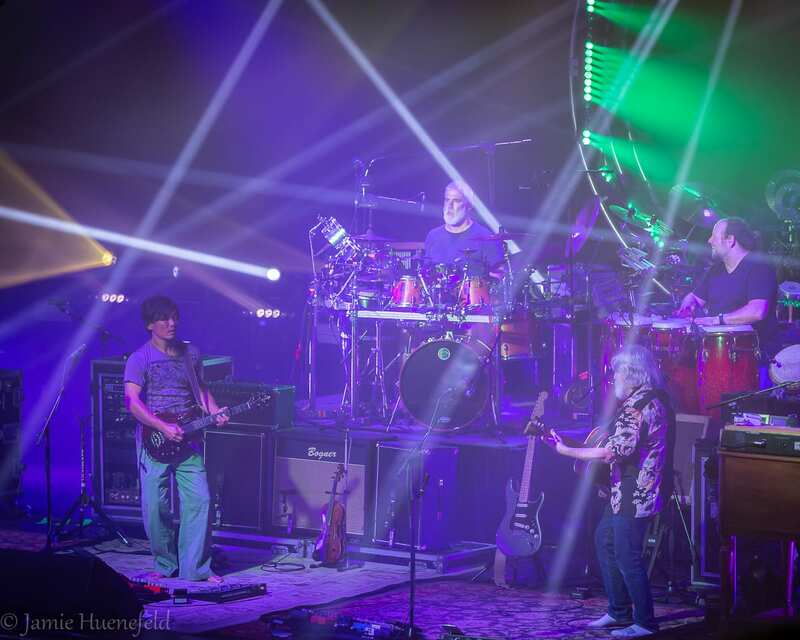 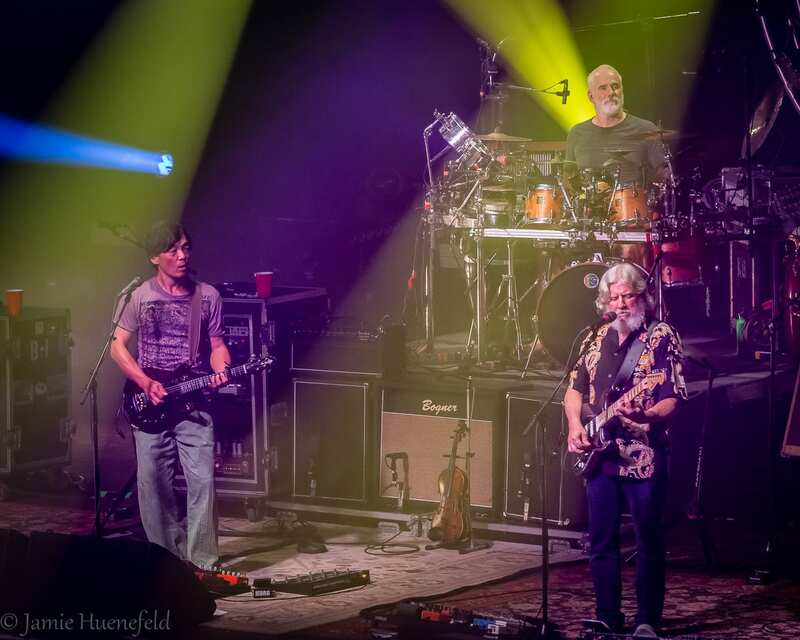 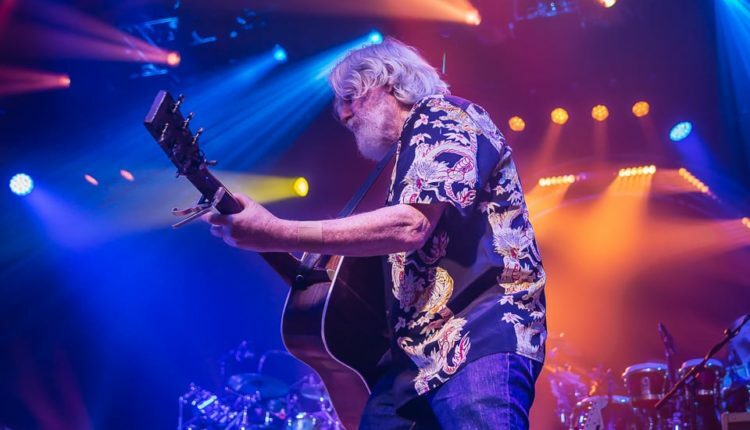 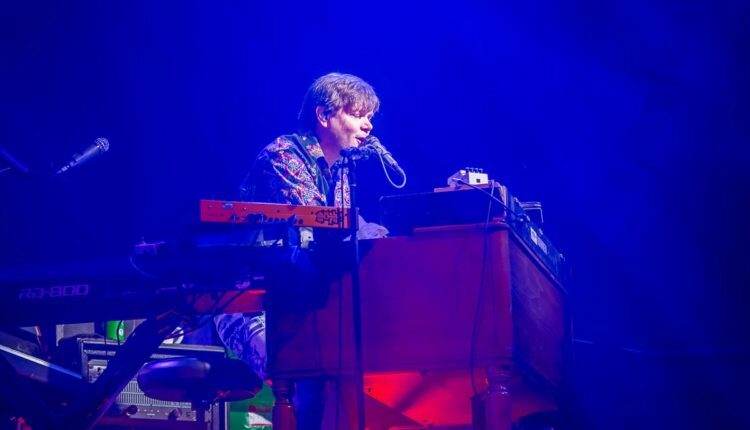 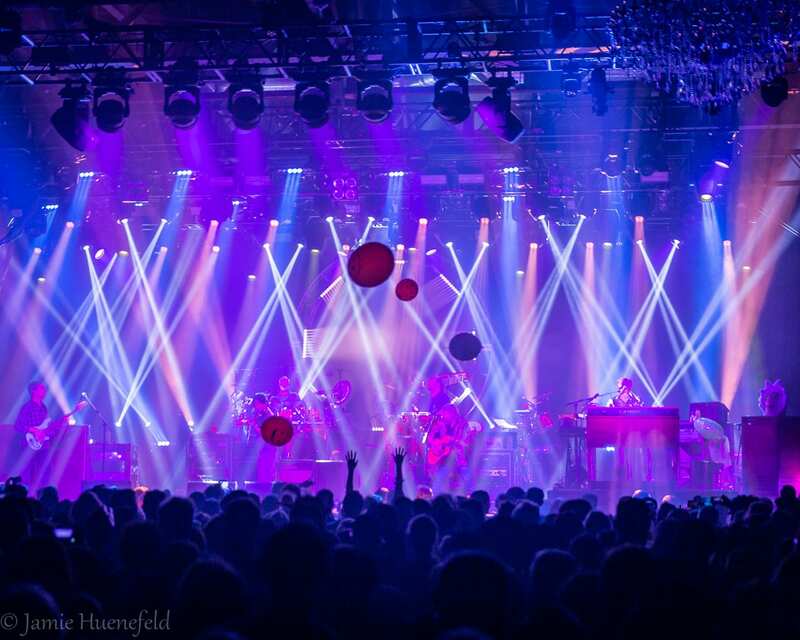 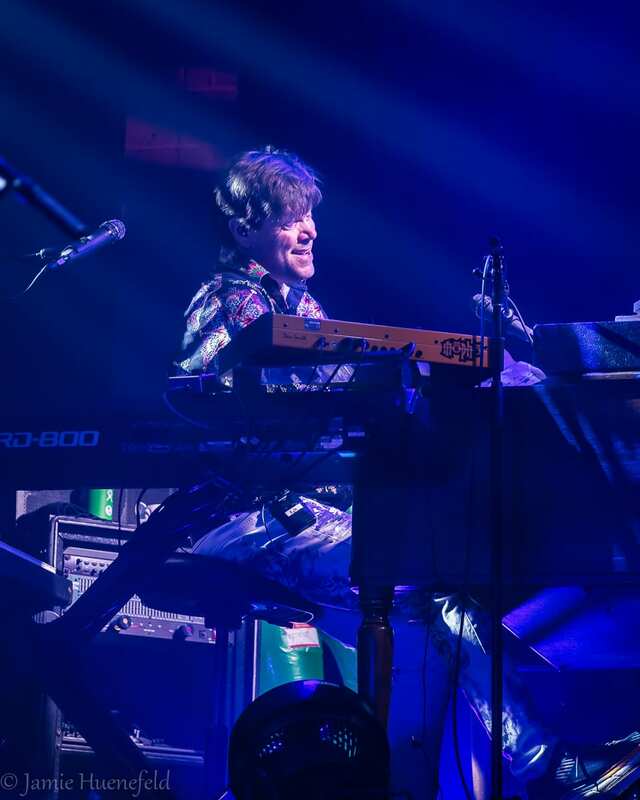 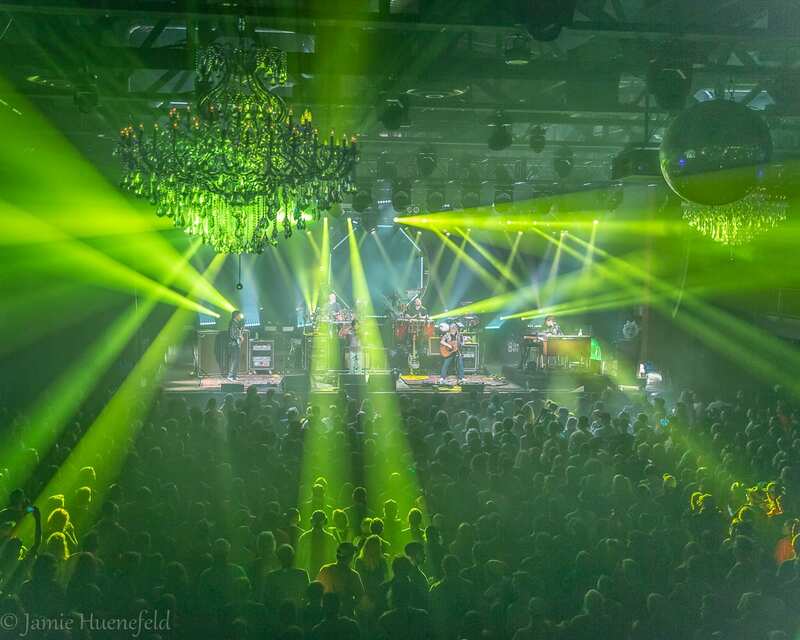 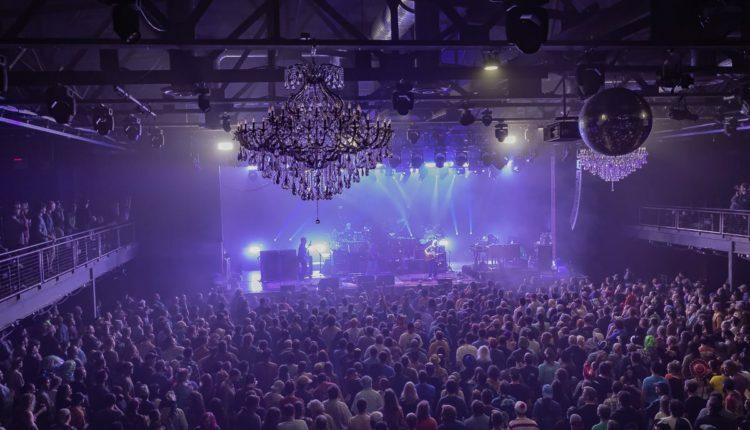 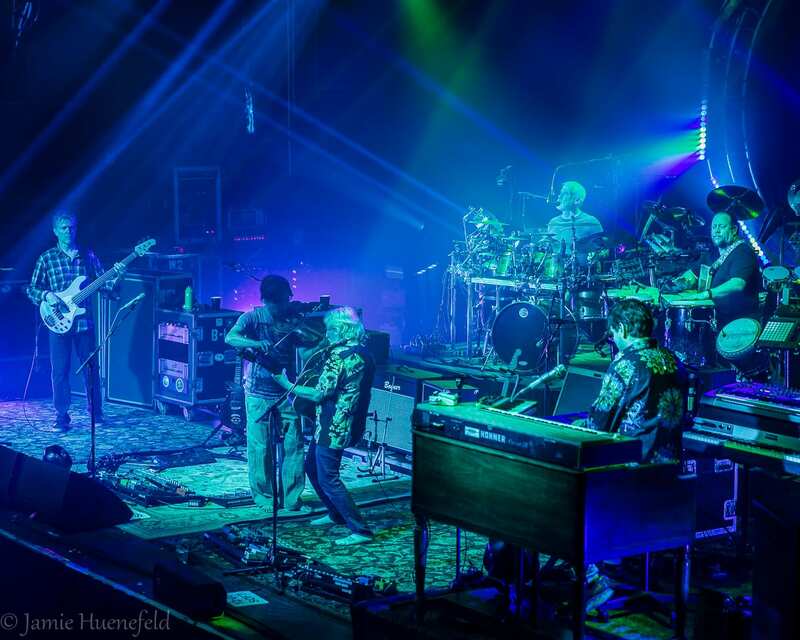 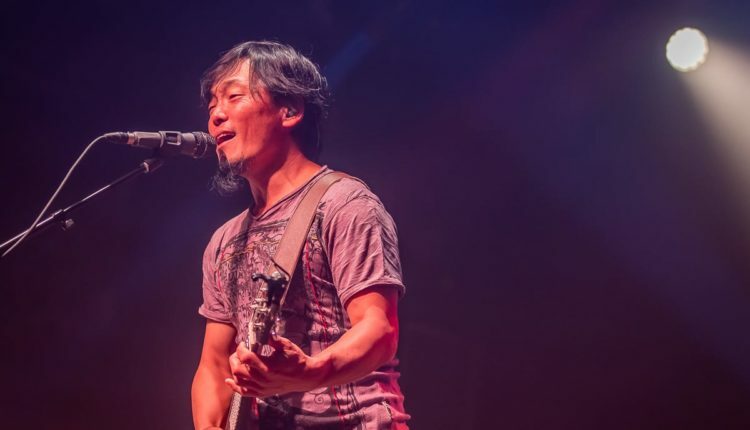 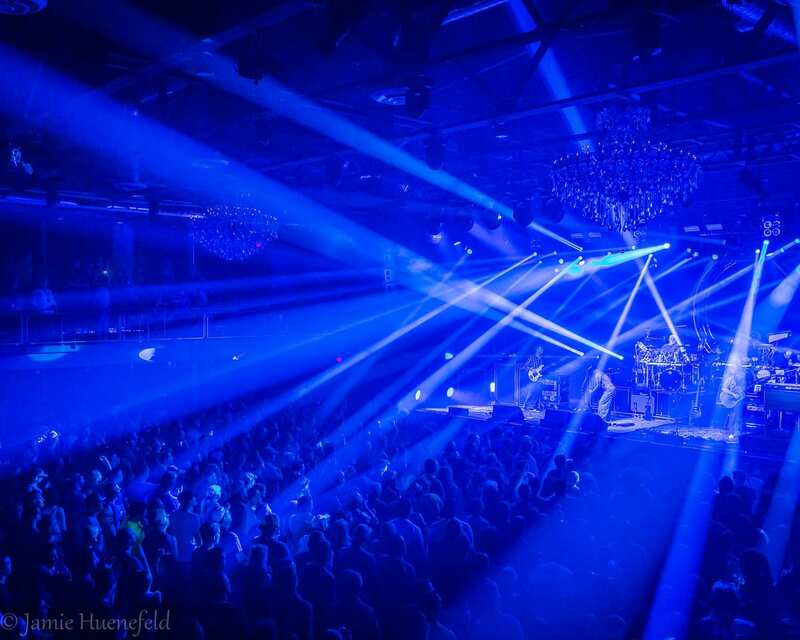 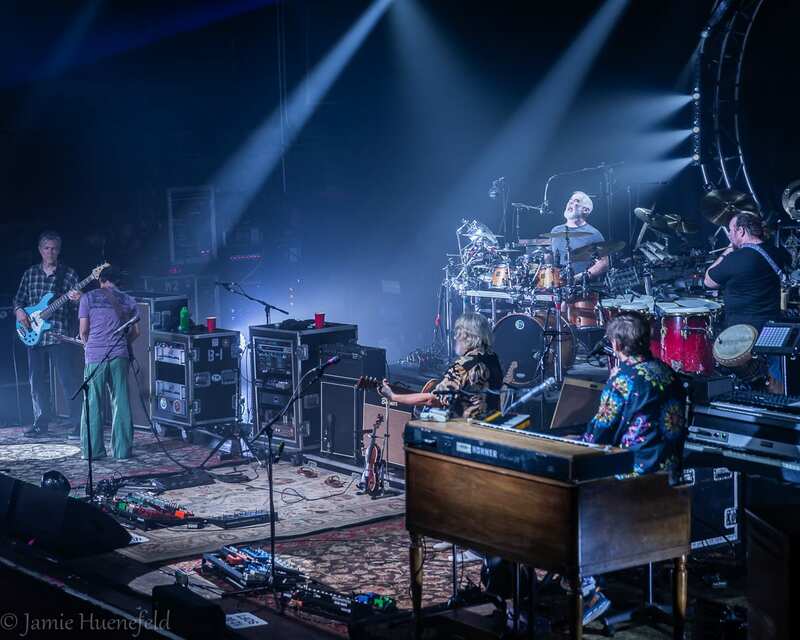 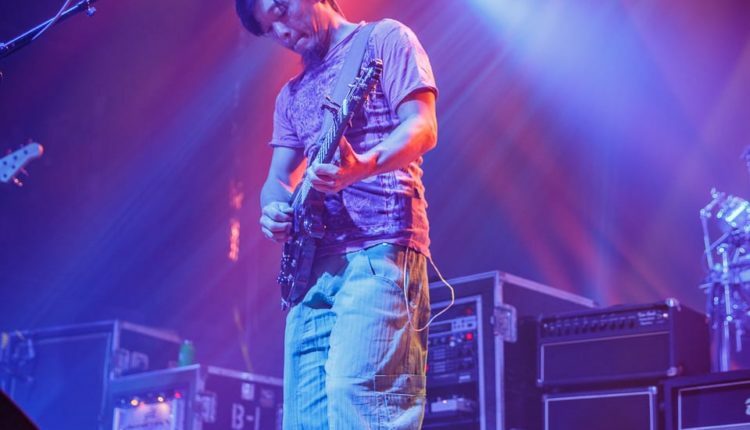 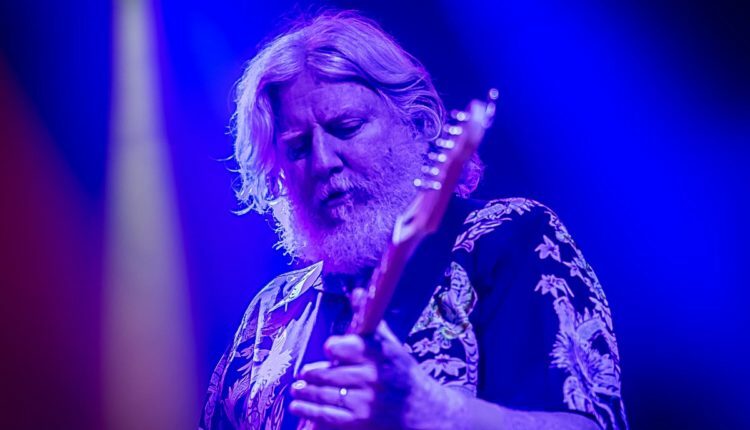 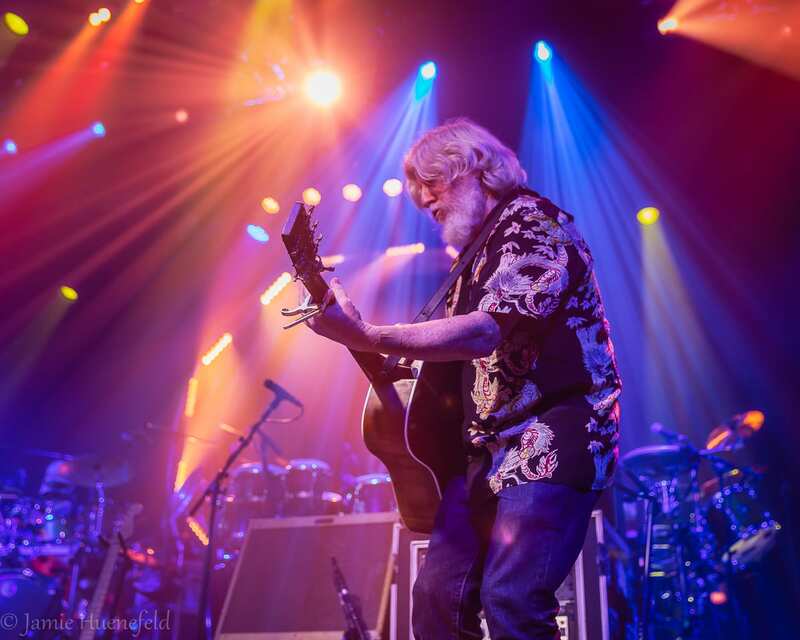 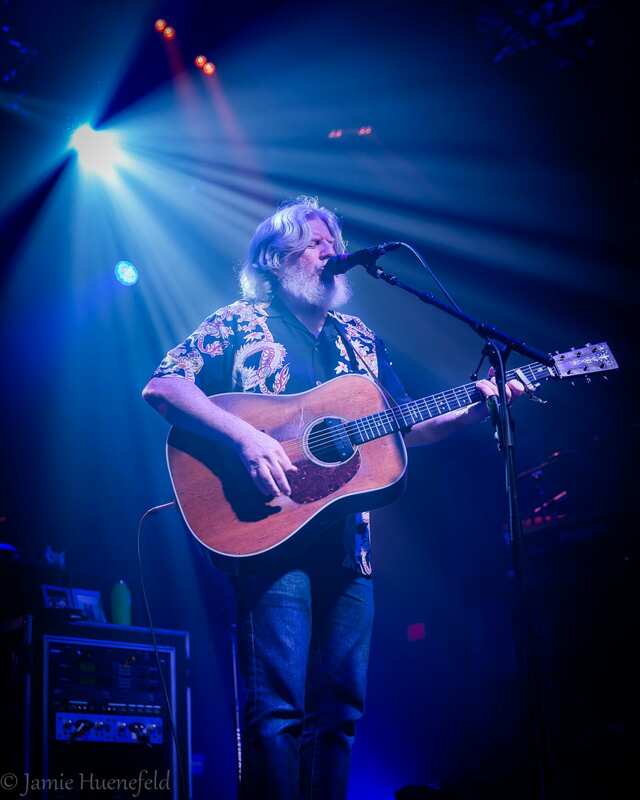 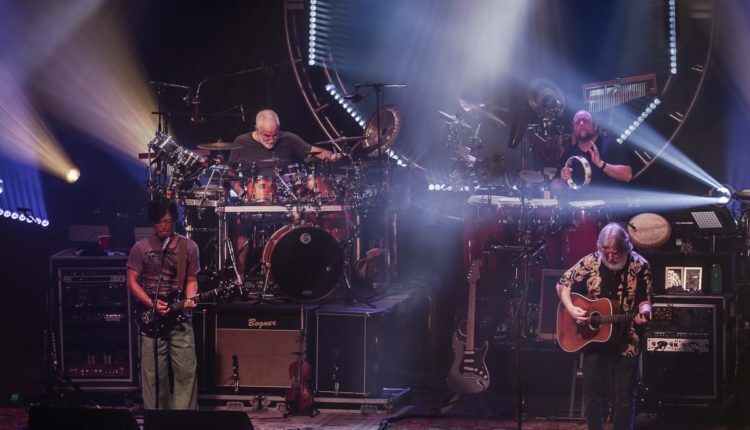 The String Cheese Incident are finishing up an eastern stint of shows, with last night and tonight seeing them play at Worcester, MA’s Palladium Night Club. 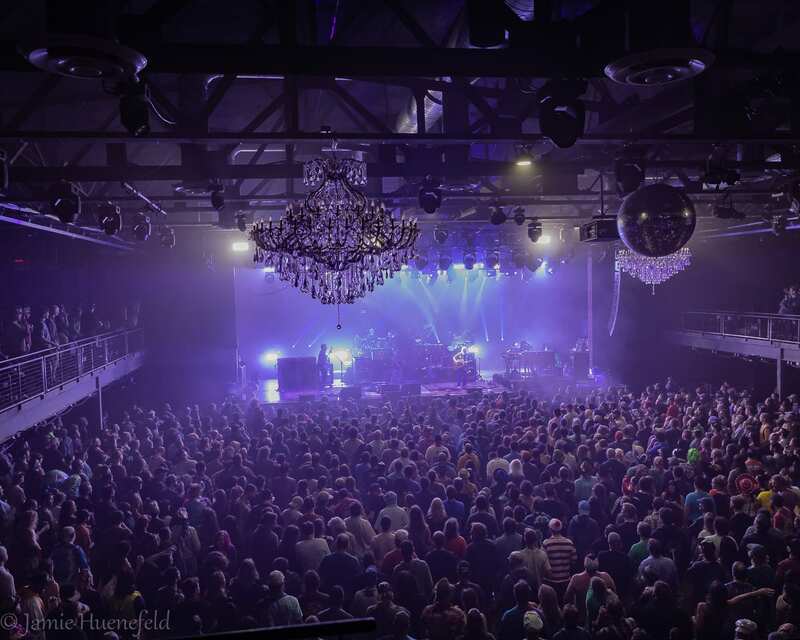 Earlier this week, the band spent Halloween in Philadelphia, performing two back to back shows at the city of brotherly love’s The Fillmore. 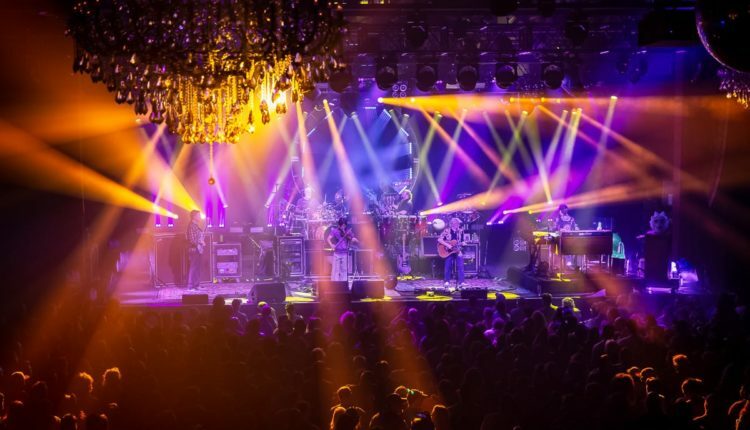 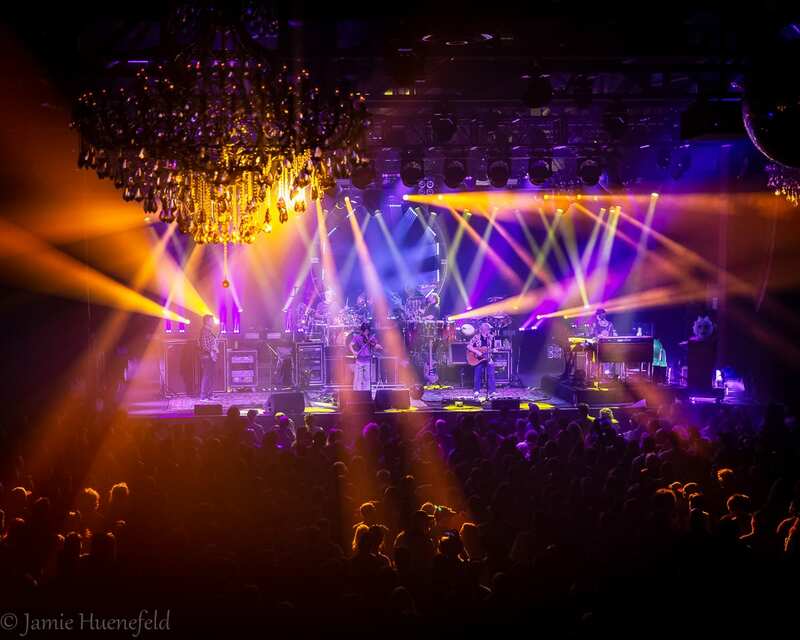 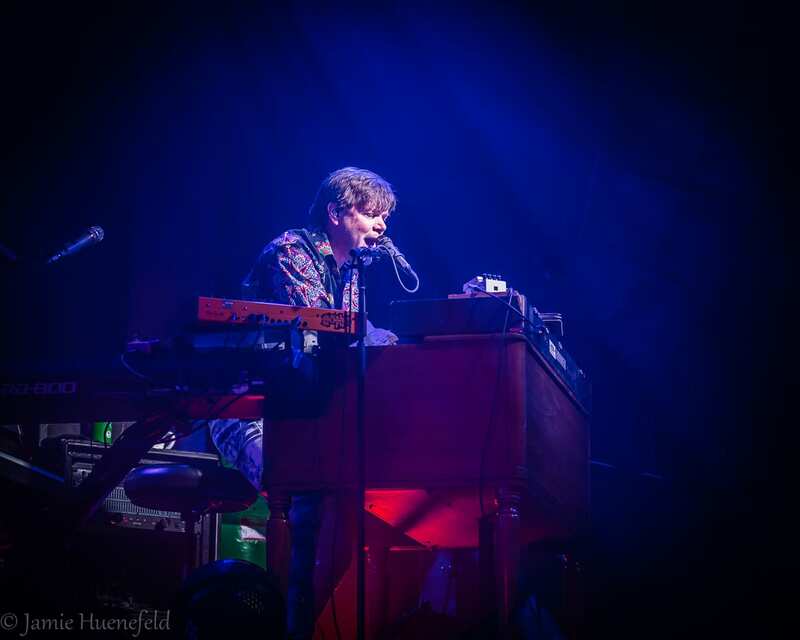 After a monumental weekend at Hulaween, in which three headlining nights from the band included plenty of guest sit-ins and lots of musical surprises, the hype for String Cheese’s Fillmore run was pricked with anticipation. 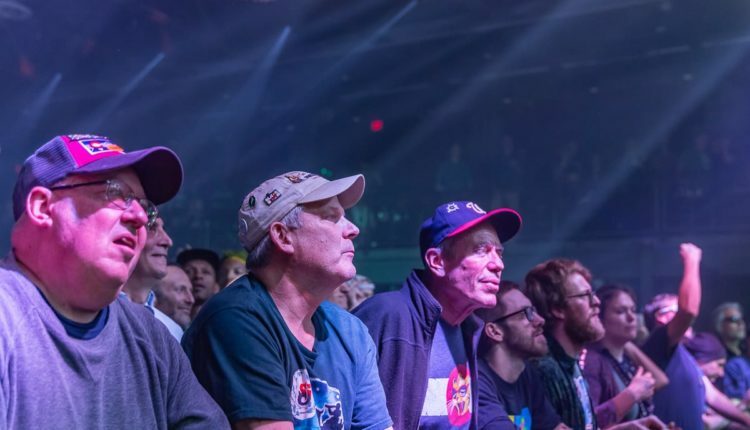 Many were wondering if they had steam left after delivering such a jam-packed weekend, and others had no doubt at all. 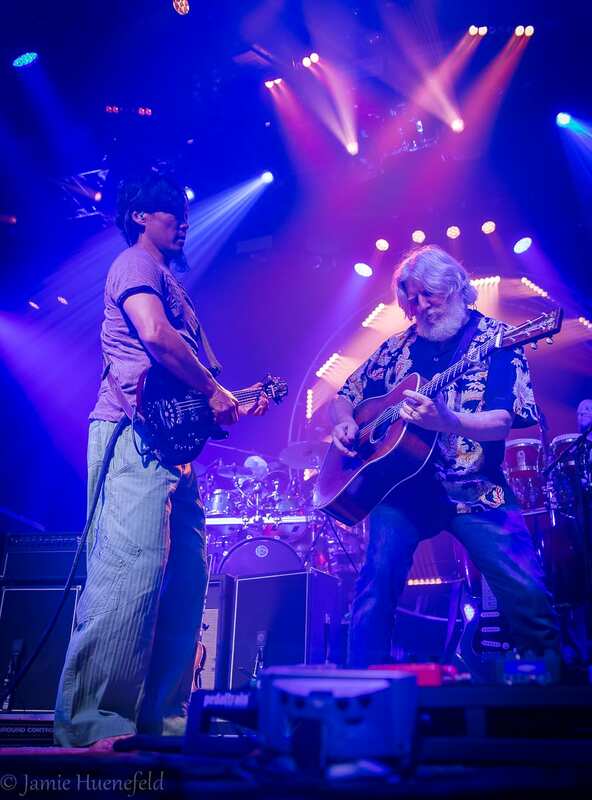 That these were going to be some strong shows was definitely clear soon enough into night one’s firs set. 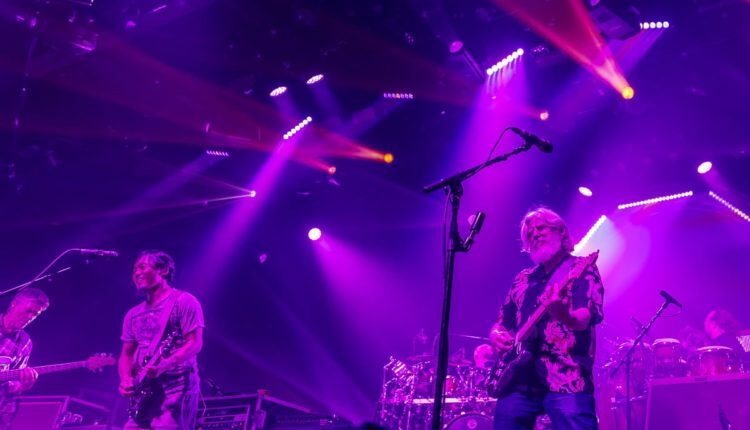 A “Song in My Head” > Can’t Stop Now brought the first smiles of the run, and the band was at least in tight form, if not risk-taking right away.” Way That it Goes” through “Believe” saw incredibly heavy Cheese. The intensity, not to mention the sheer decibel level, on even an old school jazzier number like “Pirates,” was pretty staggering. 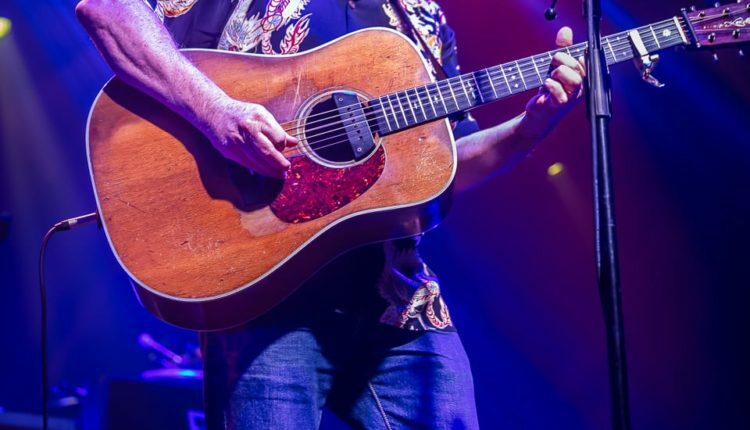 A first set “Sympathy For The Devil,” sung by Keith Mosely, was our Halloween nugget for the night, and it certainly seemed appreciated given the enthusiasm emanating from the crowd all the way through. 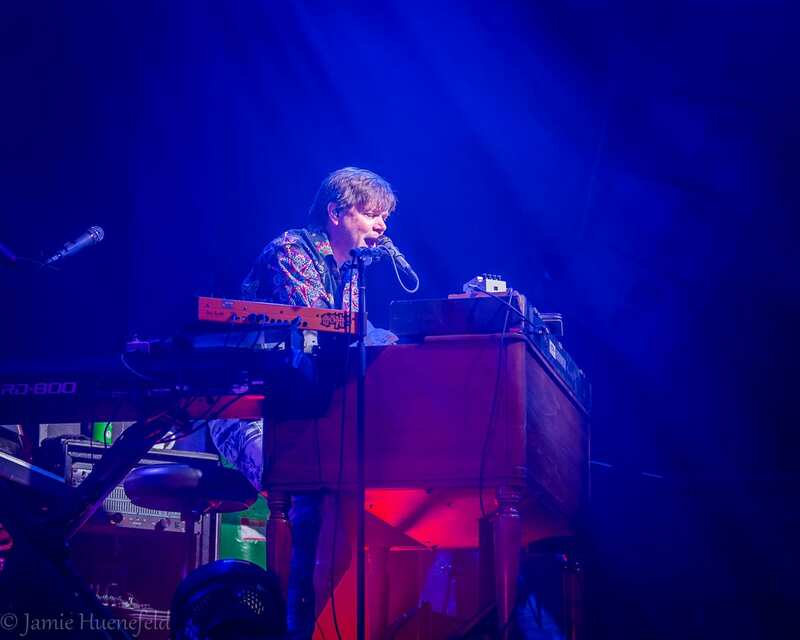 Set two invited the most electronic side of Cheese to party, with a “Tinderbox” to start that saw the band enter full-on dubstep style. 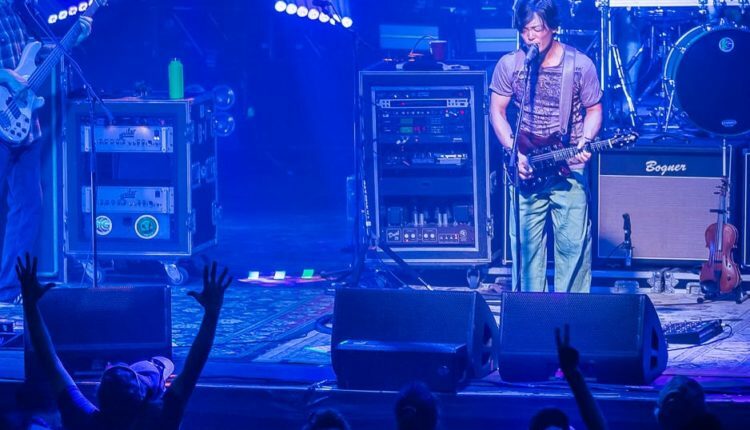 The crowd appeared to dig on it, though, and so the band followed it soon after with a similarly crystallized version of “Bumpin’ Reel.” Kang broke out the fiddle here, and buttoned up this wildly looped jam with some choice intermittent soloing.There were a few big gems of this two-night run, and arguably the first came in night one’s final, towering segment that kicked off with a “Miss Brown’s Teahouse.” While this was a straightforward version, it rolled on in mystical fashion towards a highly received “Land’s End,” perhaps one of the most appreciated songs in the Cheese catalogue. 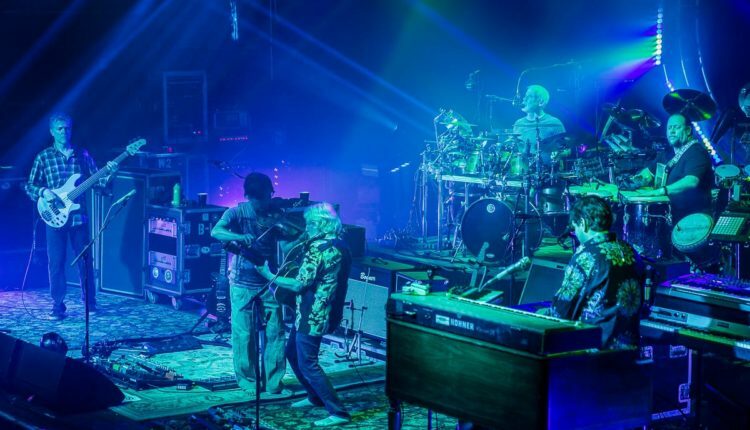 The band took their time gracefully here, treading thoughtfully through a section of space, comprising a “Glory Chords” jam, but soon enough took off running into a “Just One Story” to close out—another one of Cheese’s most appreciated numbers. 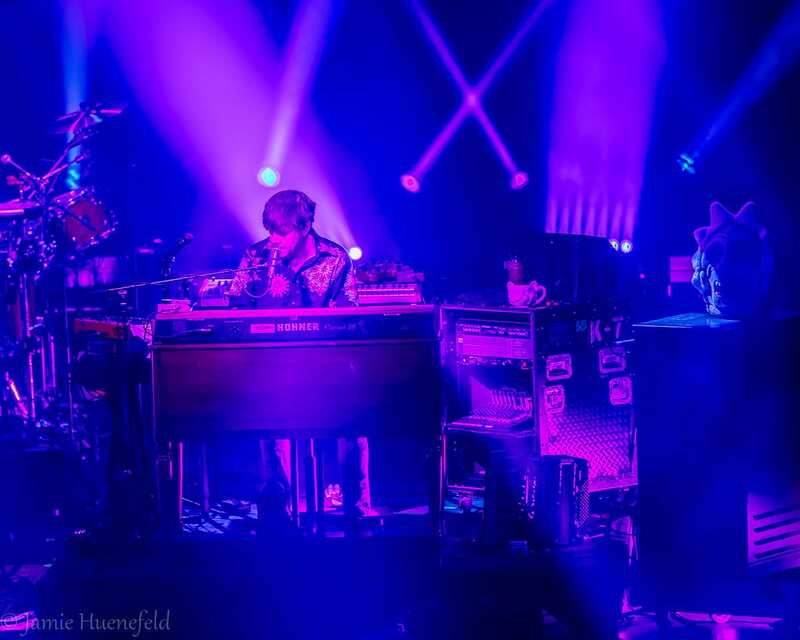 This magical combo worked with the encore to leave The Fillmore fully satisfied for night one. 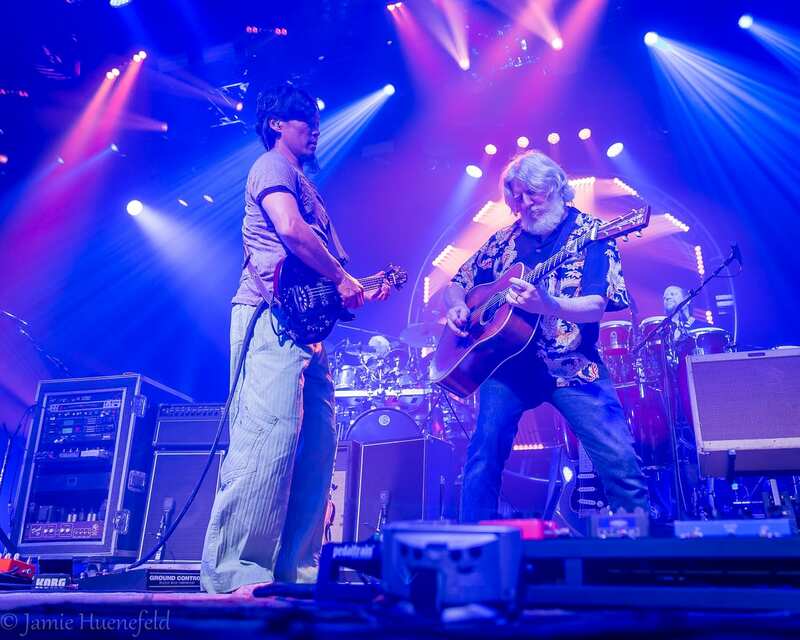 The encore which might have actually stood out in the context of the whole run. 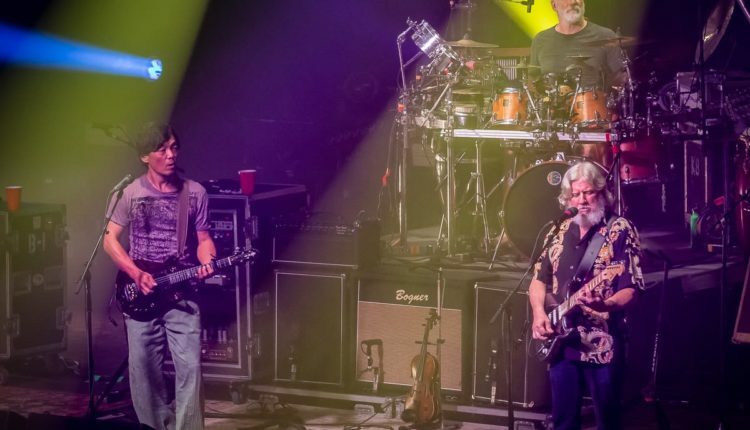 A very fun “Born On The Wrong Planet” segued with ease into an “I Know You Rider” that saw the latter of those two tunes fleshed put nicely, complete with a slowly cascading reggae jam, to be a standout version. 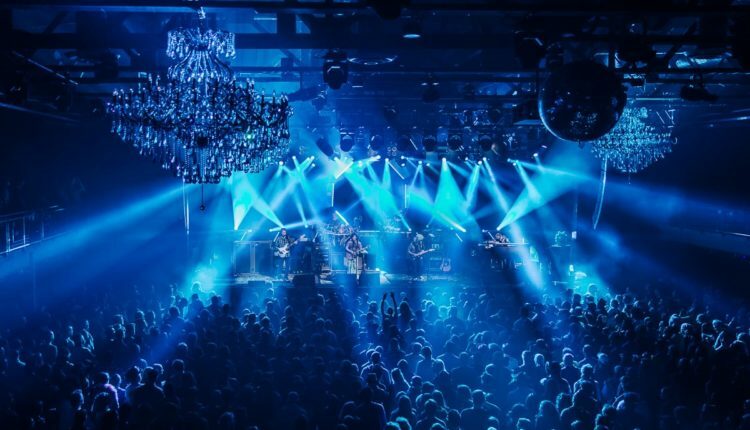 While Halloween have default regard as special shows, it stands that String Cheese’s second night in Philadelphia came as the better of two nights—nothing damnable about making the next show better than the last! 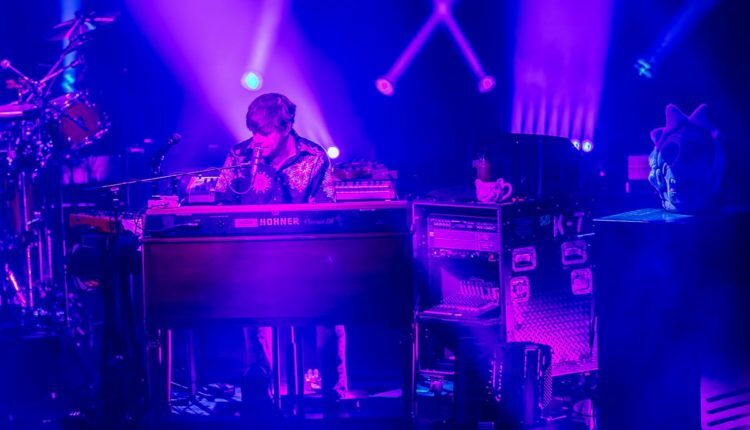 Again, the band made fast moves to show their chameleon-like ability to divert musical styles and moods. 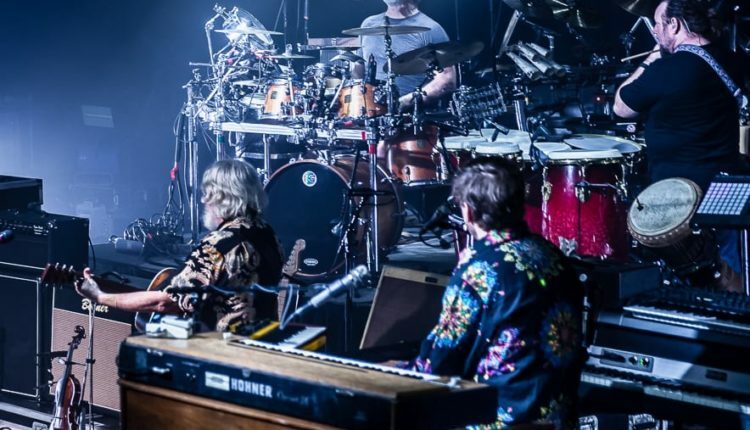 After a welcomed “Don’t It Make You Wanna Dance” opened it up, the engine for the evening really starting revving with a funky, murky jam coming out of ‘Eye Know Why.” The band was in sync, and they were making improvisational choices with confidence. 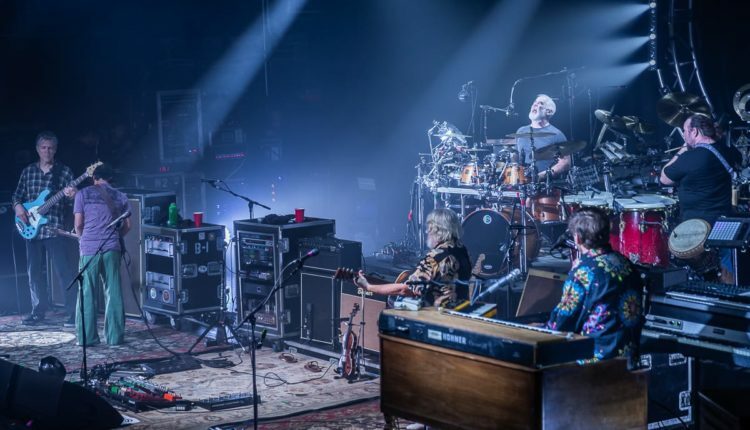 The “Shine” to end the first set was fine and feel good as any other, but the “Outside and Inside” coming before it was the real ticket: a type two version that flung itself into the first set ender with pure adrenaline. 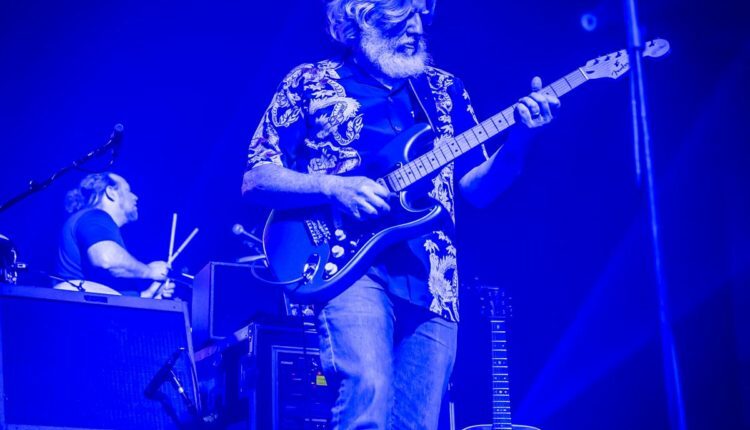 But, if you were to listen to just one song from this entire two night run, make it the “Lonesome Fiddle Blues” that blew out the doors of The Fillmore on night two, set two. 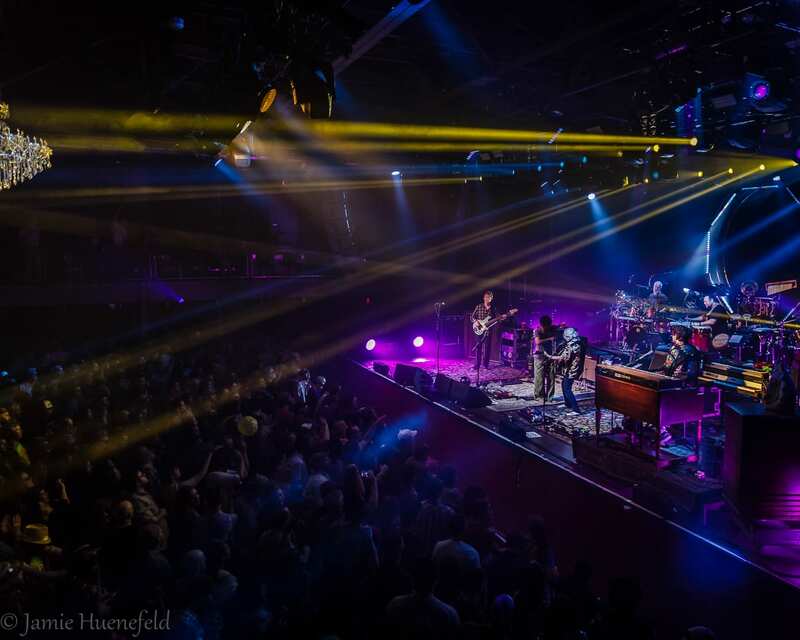 The crowd was caught off guard with the insanity of this one, and when Hollingsworth helped catapult this eruptive version, with an organ solo that still has this writer shaking his head, nearly everybody in that room went from chill to berserk in seconds flat. 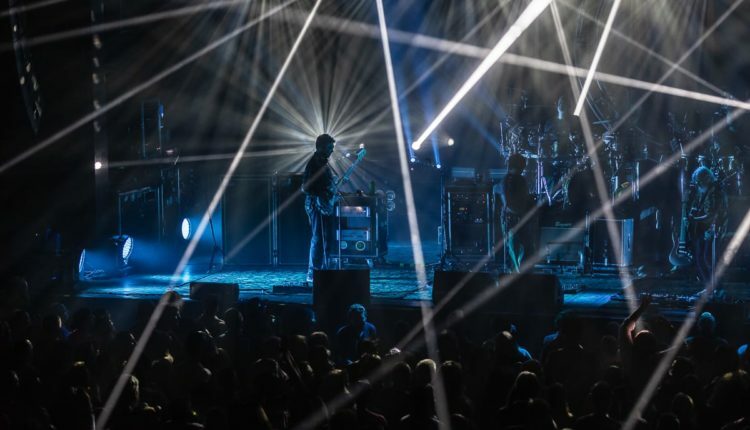 The set only evolved from there, with the band venturing into some of the most improvisational territory yet with a fantastic “Best Feeling.” After some cosmic interplay led to a tension-tinged climax, “Feeling” dropped succinctly into “Illegal,” a song that has been a big hit with Cheese fans this year. 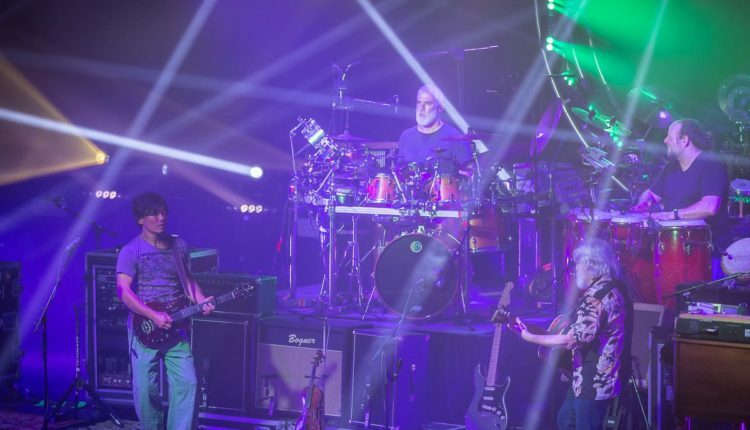 Over the last week, the band has been cycling through the new material penned by each member of the band, and this one, composed by drummer Michael Travis, is a doozy. 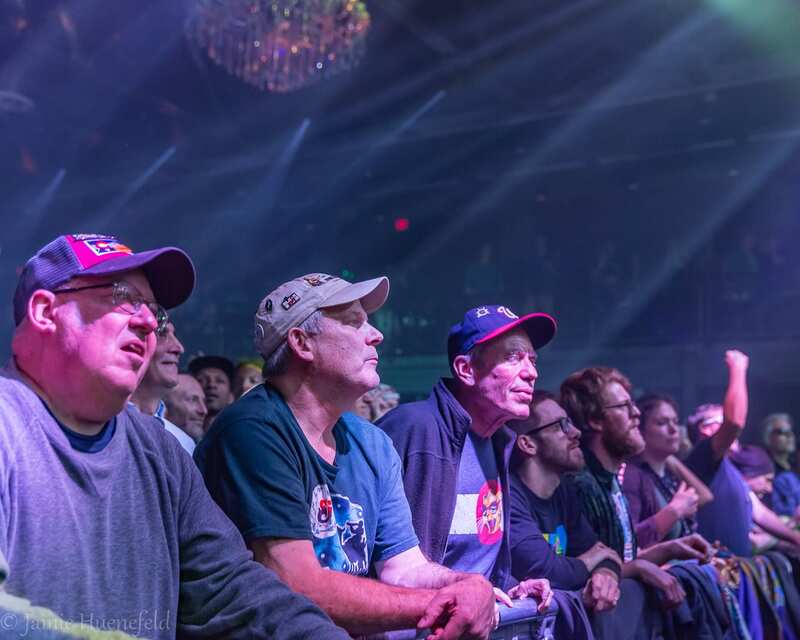 It’s neat, coastal-vibe like chorus gives way, in back and forth style, to a wicked prog-rock like instrumental section, which the band nailed here at The Fillmore with a real tenacity. 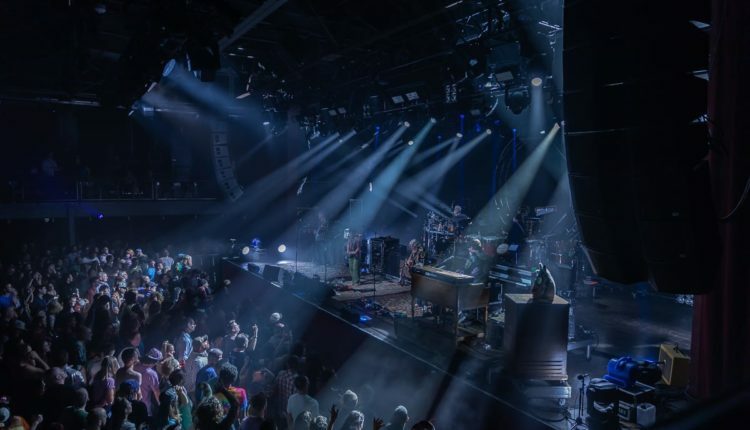 Coming back for the encore, Hollingsworth recounted warmly he grew up down the street from The Fillmore, and that all six of his siblings were in attendance. 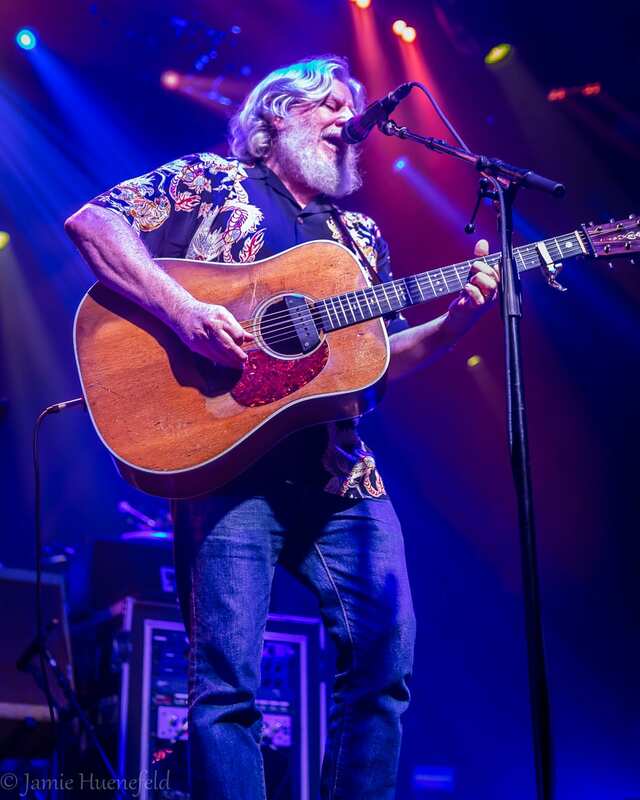 Nershi commented: “Seeing family come to all the shows makes us feel like we’re doing this thing right. 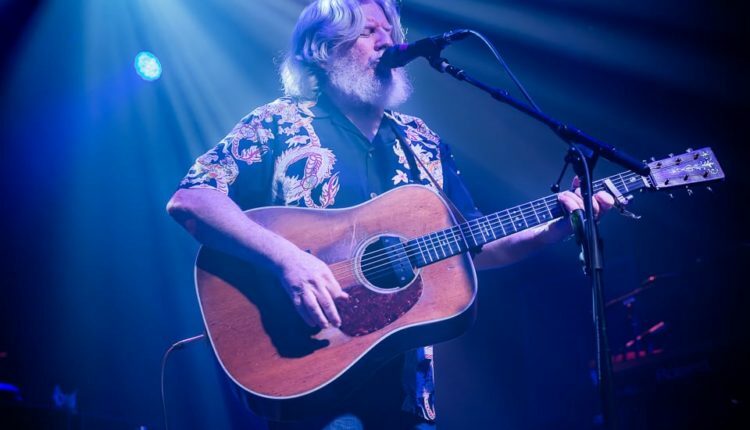 And you all of course are our family too.” The band played a textbook “Restless Wind” to finish out, highlighted with a great few minutes of solo trading between Kang and Nershi, and brought a terrific two-night stand down for a soft landing. 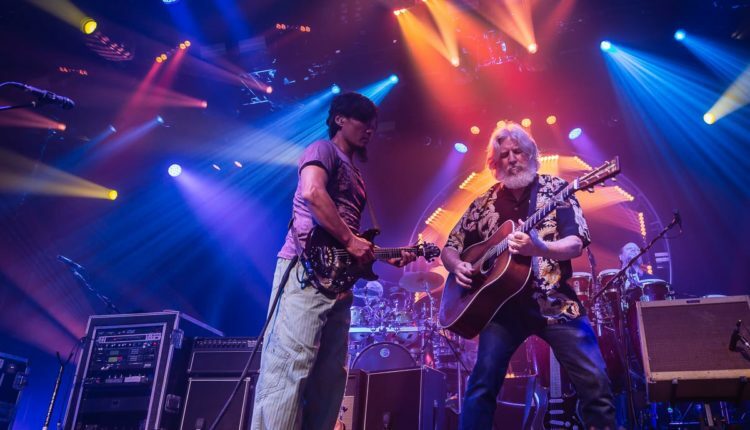 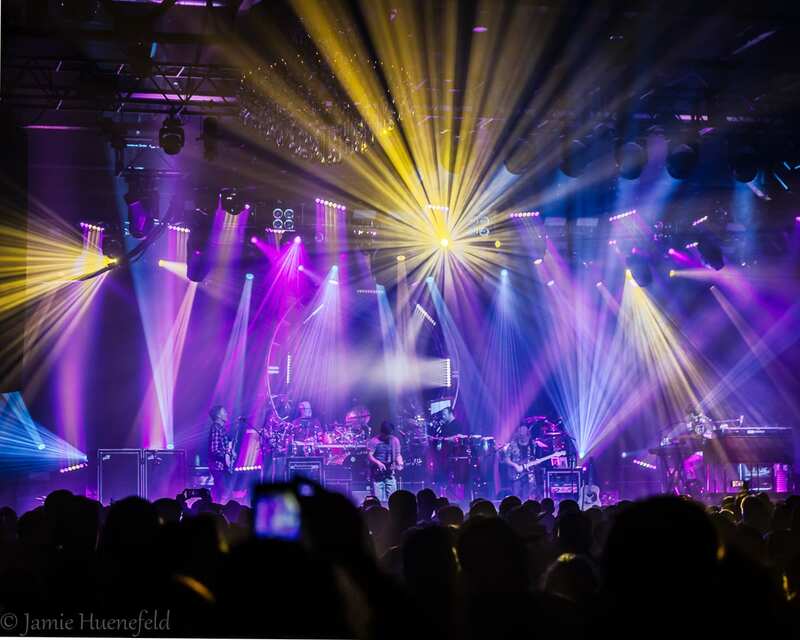 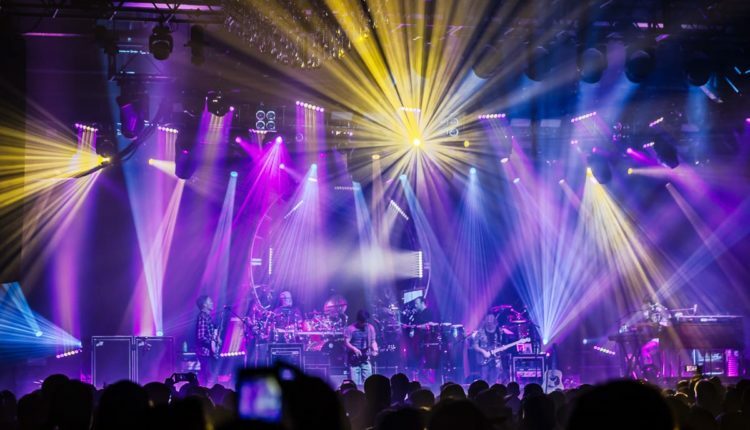 String Cheese Incident’s next scheduled concert appearance is their highly anticipated three-night New Years Eve run at 1st Bank Center in Denver, Colorado. 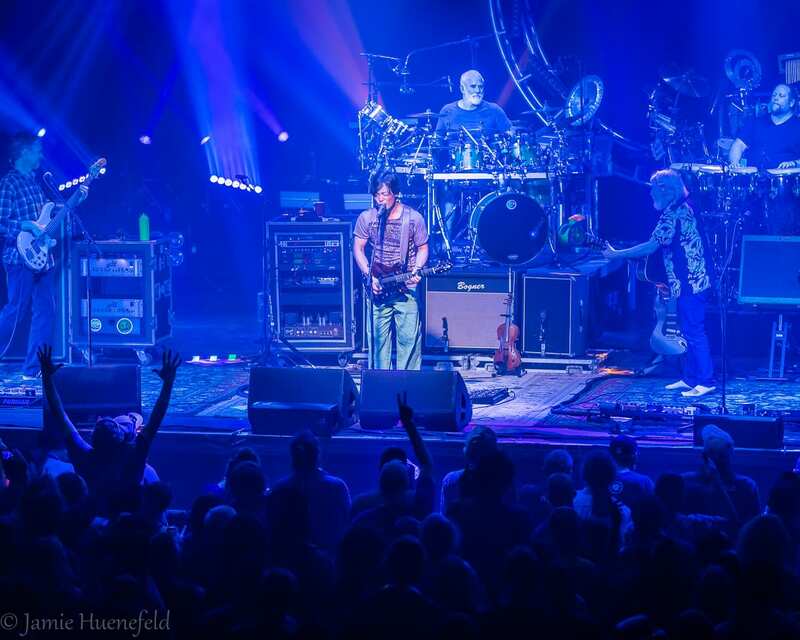 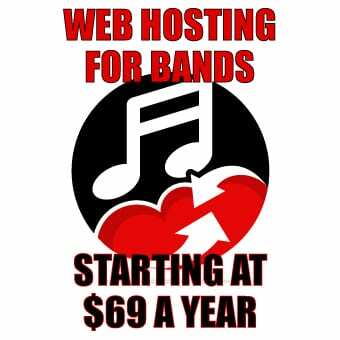 For more information visit their site at http://www.stringcheeseincident.com.